WHEN: Thursday, April 25, 4:00 – 6:00 p.m.
For that which was lacking among you all, yet needed most, I bring. He was probably not talking about chocolate. But that won’t stop this proud library from bringing some to his birthday party! Join us on April 25 as we celebrate Whitman’s bicentennial, with readings and remarks by Richard H. Brodhead, Duke’s ninth president, on why he loves the “Good Gray Poet” and you should, too. If you’ve ever wanted to know more about America’s most famous bard, now is your chance to take a short course (with no grades or quizzes!) from one of the foremost experts on the subject. 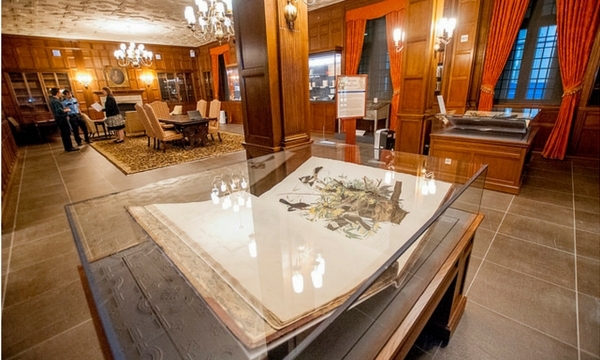 Guests will also be invited to view original Whitman manuscripts and materials from the David M. Rubenstein Rare Book & Manuscript Library, which holds one of the largest and most important Whitman collections in the world, right here at Duke. Free and open to the public. And yes, there will be chocolate. 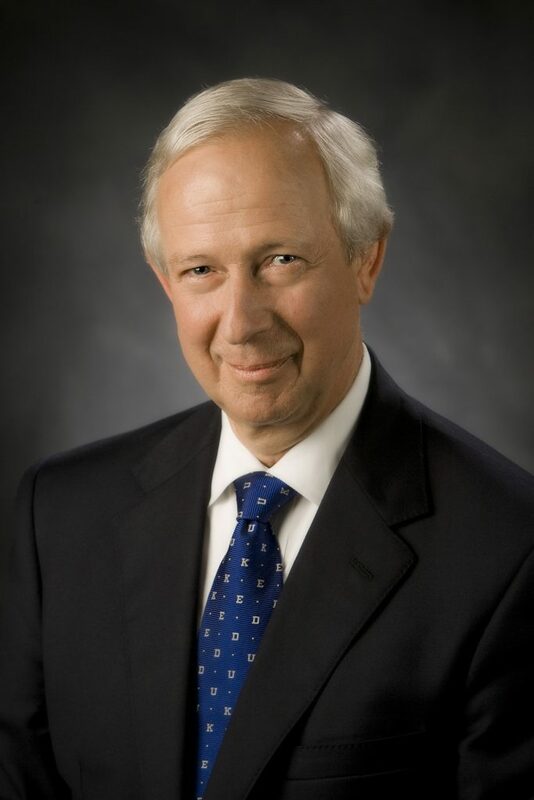 Richard H. Brodhead served as President of Duke University from 2004 to 2017. As President, he advanced an integrative, engaged model of undergraduate education and strengthened Duke’s commitment to access and opportunity, raising nearly $1 billion for financial aid endowment. 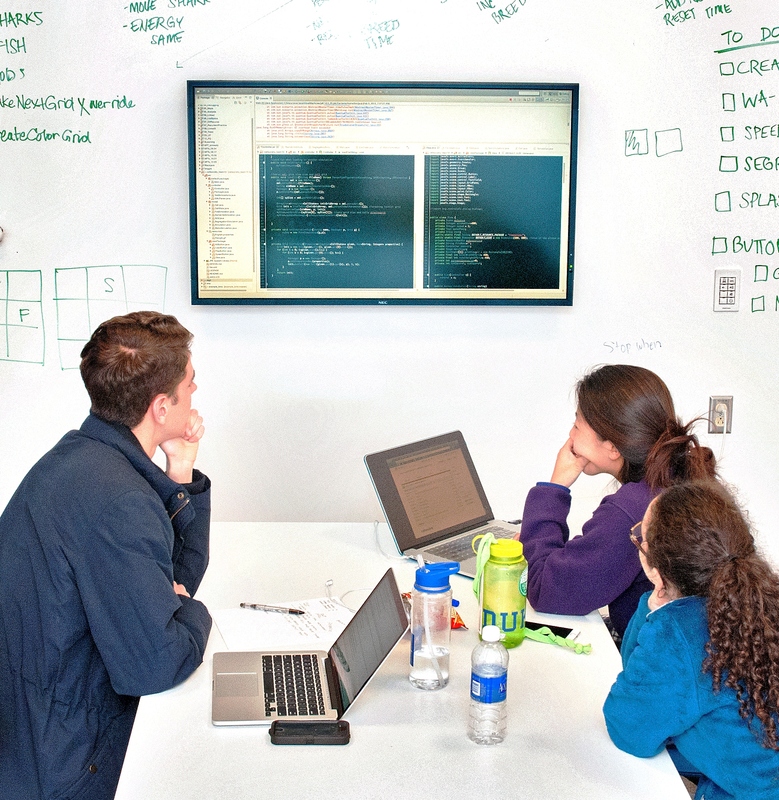 Under his leadership, Duke established many of its best-known international programs, including the Duke Global Health Institute, DukeEngage, and Duke Kunshan University. Closer to home, Duke completed major renovations to its historic campus and played a crucial role in the revitalization of downtown Durham. Brodhead received his B.A. and Ph.D. from Yale University, where he had a 32-year career as a faculty member before coming to Duke, including eleven years as Dean of Yale College. A scholar of American literature and culture, he has written and edited more than a dozen books, including on Hawthorne, Melville, and Whitman. He was elected to the American Academy of Arts and Sciences in 2004, and he was named the Co-Chair of its Commission on the Humanities and Social Sciences and co-authored its 2013 report, “The Heart of the Matter.” He has been a trustee of the Andrew W. Mellon Foundation since 2013. Brodhead’s writings about higher education have been collected in two books, The Good of this Place (2004) and Speaking of Duke (2017). For his national role in higher education, Brodhead was given the Academic Leadership Award by the Carnegie Corporation of New York. He is currently the William Preston Few Professor of English at Duke. 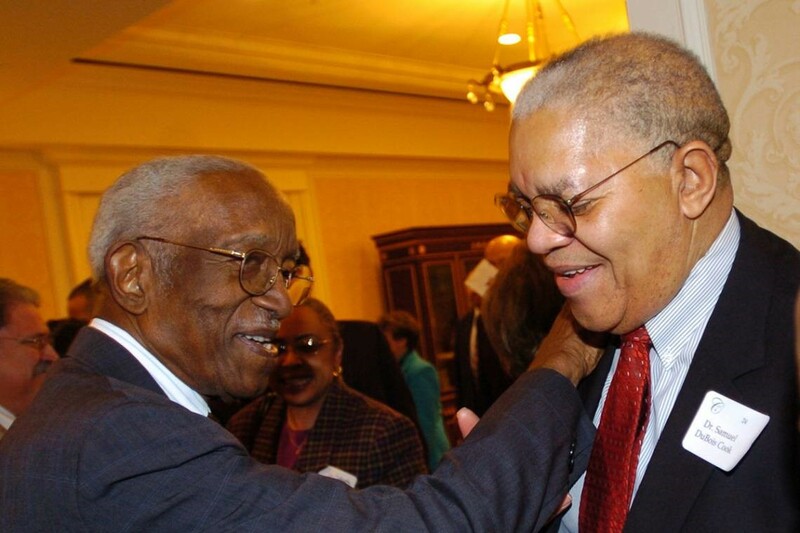 Duke historian John Hope Franklin (left) and political scientist Samuel DuBois Cook, both of whom are featured in the HistoryMakers database of oral history interviews. 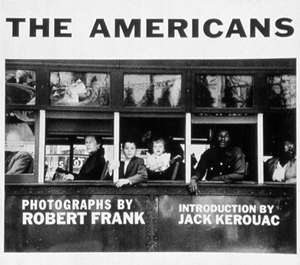 Looking for oral history interviews of African Americans? 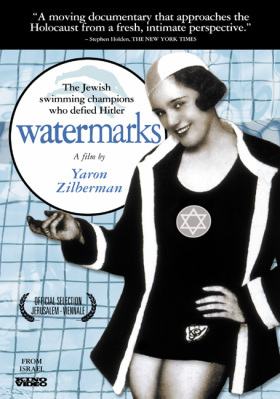 Try The HistoryMakers Digital Archive, a new subscription database available through Duke University Libraries. HistoryMakers contains over 10,000 hours of video interviews with African-Americans distinguished in the categories of education, media, science, politics, law, the arts, business, medicine, the military, sports, religion, entertainment, and other areas of public life. Interviewees discuss memories from the 1890s to the present. 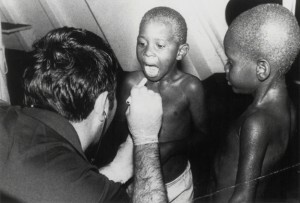 The project currently includes original interviews of more than 2,000 individuals, with a goal of collecting 5,000 interviews. By creating story segments from each interview, HistoryMakers allows users to find relevant discussions on specific topics. Interview transcripts are searchable, but you can also choose from a list of story topics (e.g., leadership, desegregation/integration, public health issues, philanthropy, role models, gender identity, faith, humorous story quality, and arguing a position). You can also create shareable playlists by selecting stories from your search results. A search for “Duke University” reveals hundreds of interviews with noteworthy individuals, including Paula McClain, current dean of Duke’s Graduate School. A search for Duke University retrieves 321 stories, including interviews with noted historian John Hope Franklin; Samuel DuBois Cook, the first African American professor at Duke; Vera Ricketts, the first black female pharmacist at Duke University Hospital; and Paula D. McClain, current dean of the Graduate School at Duke. HistoryMakers complements Behind the Veil: Documenting African American Life in the Jim Crow South and other oral history materials in the Duke Libraries’ collections. 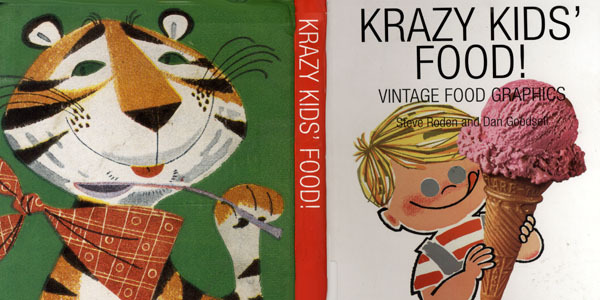 It is a substantial addition to our primary source collections. 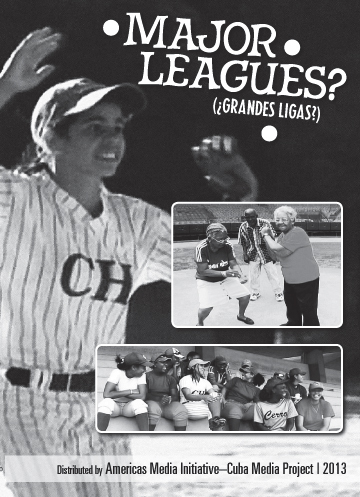 To learn more about the creation of The HistoryMakers Digital Archive, visit the organization’s website. 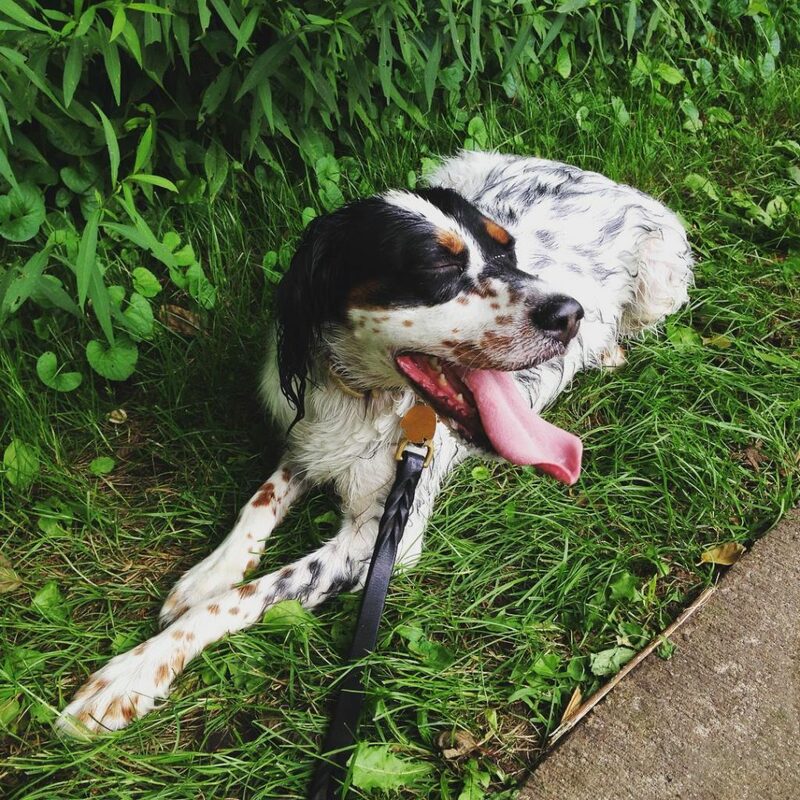 Although classes have started and September is here, it’s still doggone hot outside. In honor of these waning dog days of summer, Lilly Library has curated a selection of dog books and films for you to enjoy (with or without your furry friends!) in the comfort of the A/C. 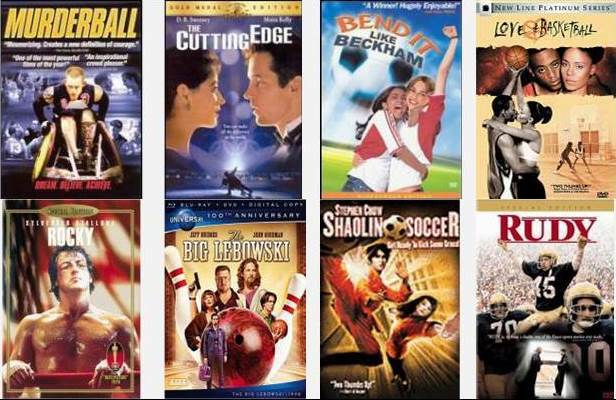 Here are some of my personal favorites from our Collection Spotlight. 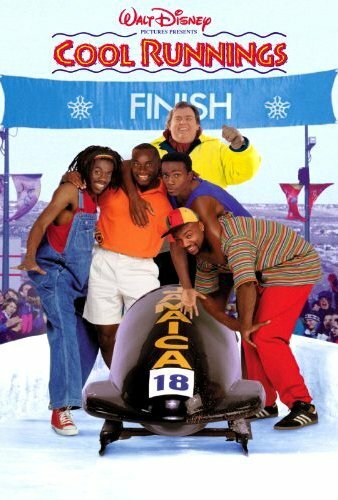 One of my favorite mockumentaries, Best in Show lampoons dog shows and the people who obsess over them. 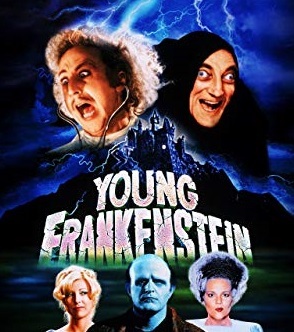 If you’ve seen a Christopher Guest directed film before (Spinal Tap, Waiting for Guffman, A Mighty Wind) lots of the usual suspects show up in this one, including Michael McKean, Jane Lynch, and Eugene Levy. 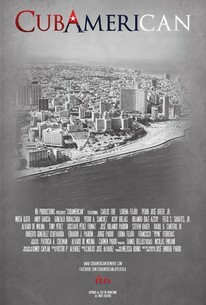 Highly recommended for bloodhound fans. Even if you’re not familiar with the name William Wegman, I’m willing to bet you’ve seen one of his photographs. 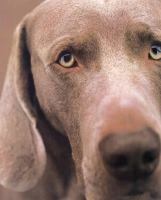 Wegman is most famous for his many photos of his gray Weimaraner hunting dogs, who are often posed on furniture or wearing costumes. 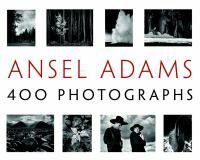 A wonderful book of phodography! 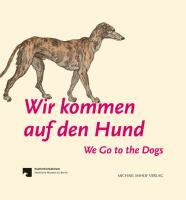 An exhibition catalog from the Berlin Museum of Prints and Drawings, this book contains depictions of canines in art ranging from medieval times to the modern era. Recommended if you want to get a broad sampling of dogs in art. No actual dogs involved in this one, but it does feature the oppressive heat we’re currently facing here in Durham. Set during a steamy afternoon in New York City, this Sidney Lumet film follows two bank robbers (Al Pacino and the excellent John Cazale) as their plans go sideways and they are forced to improvise. 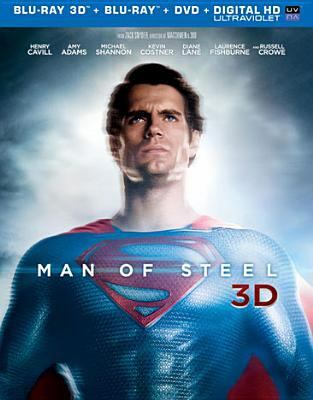 This film is a must-watch masterpiece. 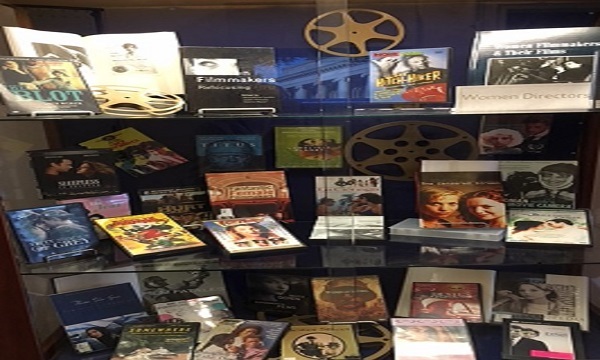 Drop by Lilly Library and check out the Collection Spotlight stand to the left of the front desk for more dog-themed books and films! 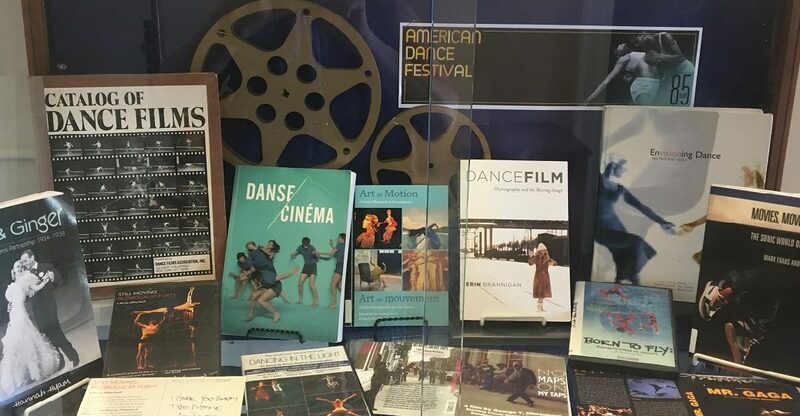 The American Dance Festival kicked off its 41st year in Durham this June 2018. 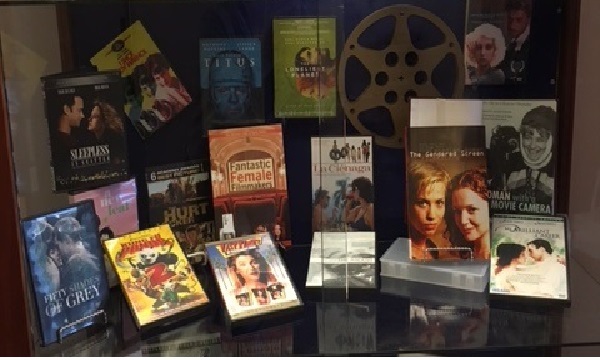 Lilly Library is celebrating with an exhibit and collection spotlight highlighting our diverse range of books and films related to dance. Duke University Libraries house the ADF Archives, including its Moving Images Collection of approximately 2,000 films and videos from 1930 to the present. These videos capture dance classes, panels, performances, discussions, showings, interviews and special events. Many can be viewed on-site in Lilly. Stop by and check us out! 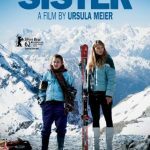 What dance films does Lilly own and loan? 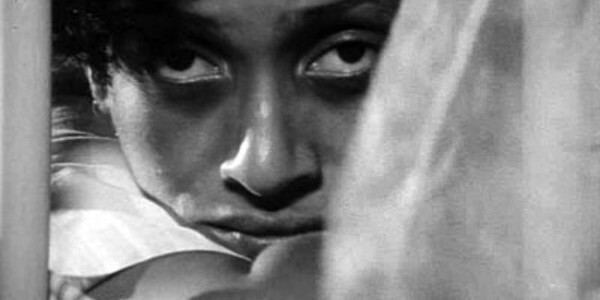 Our Video Spotlight Archives includes Dance on Film. 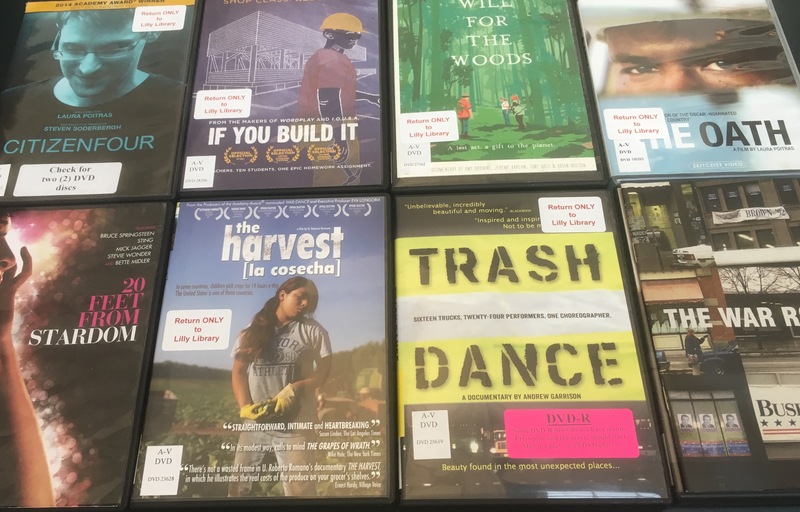 For even more dance-themed movies in our collection, browse an online list of titles on DVD and streaming video . 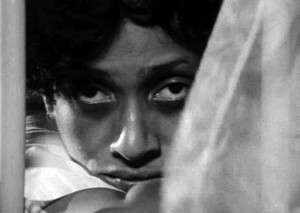 Saturdays in June and July, view Movies By Movers, at the Nasher Museum of Art and White Lecture Hall on Duke’s East Campus. This ADF series is a bi-annual festival dedicated to the celebration of body and the camera. 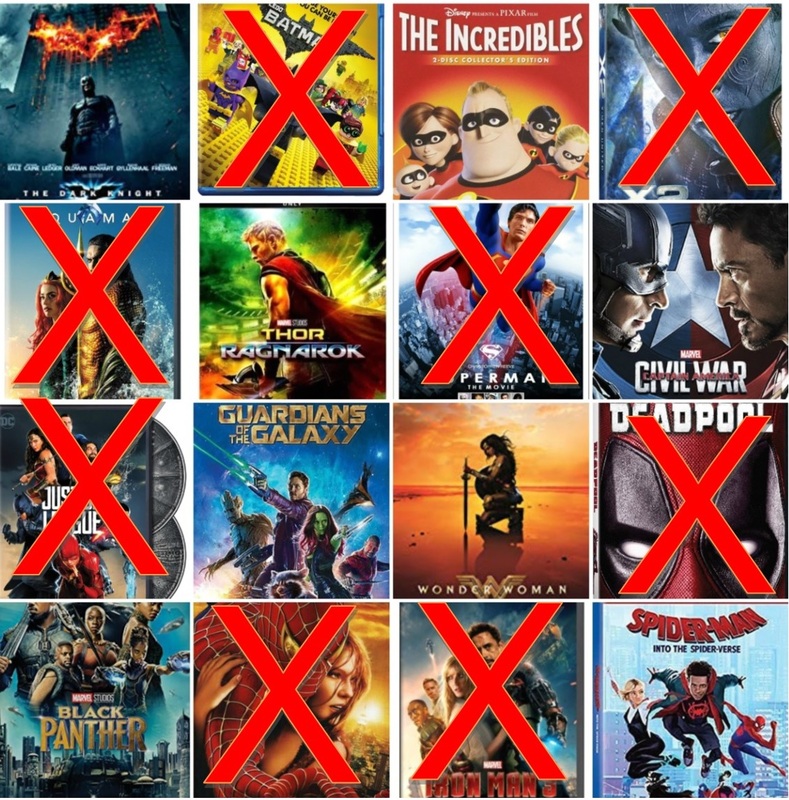 A full screening schedule can be found here. 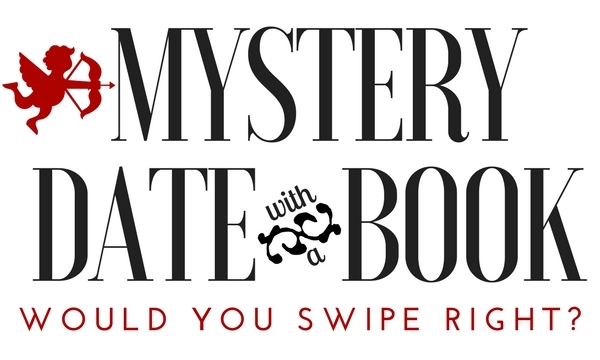 Thank you to everyone who enjoyed going out on a Mystery Date With a Book last week! 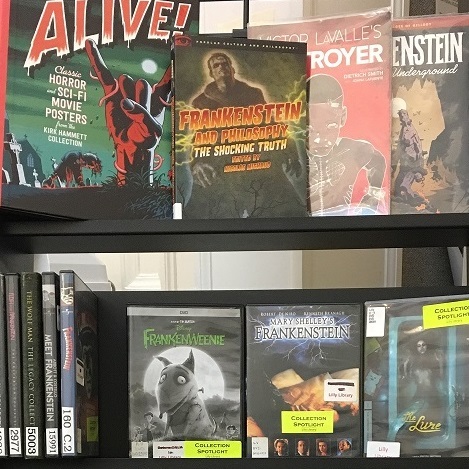 If you didn’t get a chance to check out our display, or if you’re just curious to know what books we selected, here’s a complete list of our mystery picks, along with the library staff member who recommended them. Add them to your Goodreads list. Happy reading! Want another way to make a literary match? Join us on Feb. 27 for the next meeting of the Low-Maintenance Book Club. Our theme this month is “Love Between the Covers.” We’ll share our favorite reads from the past year and get recommendations from others. All are welcome! What is African literature? 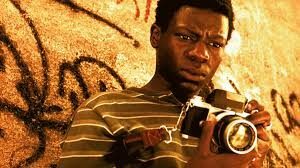 Is it literature created by Africans or about Africans? 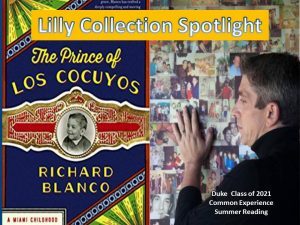 These are some of the questions students in the Duke Africa Conversations Club hope to spark in their selection of books for Duke University Libraries’ current Collection Spotlight on Contemporary African Literature. The Africa Conversations Club encourages discourse at Duke about issues relating to the African continent and the African diaspora. 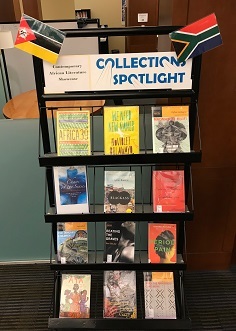 Their selections (chosen in consultation with Heather Martin, African and African American Studies Librarian) highlight contemporary African fiction, nonfiction, and poetry. 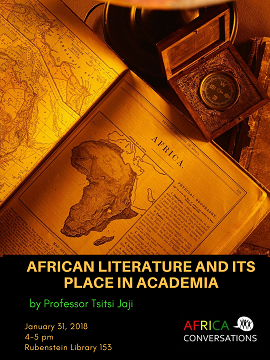 Join Africa Conversations for a discussion of “African Literature and Its Place in Academia” with Dr. Tsitsi Jaji, Associate Professor of English at Duke, on Wednesday, January 31, 4:00-5:00 p.m. in Rubenstein Library 153 (Holsti-Anderson Family Assembly Room). 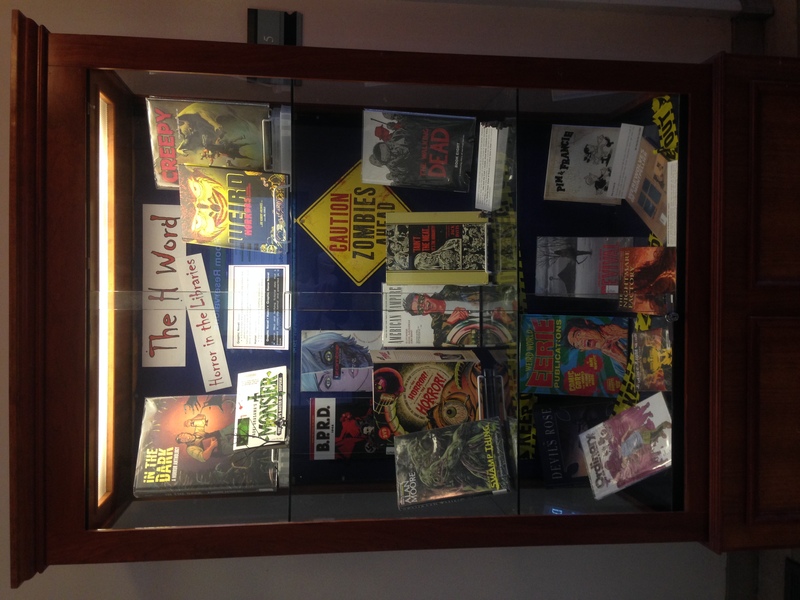 The Contemporary African Literature display will end in February, but books chosen for the display are available in the Duke Libraries any time. 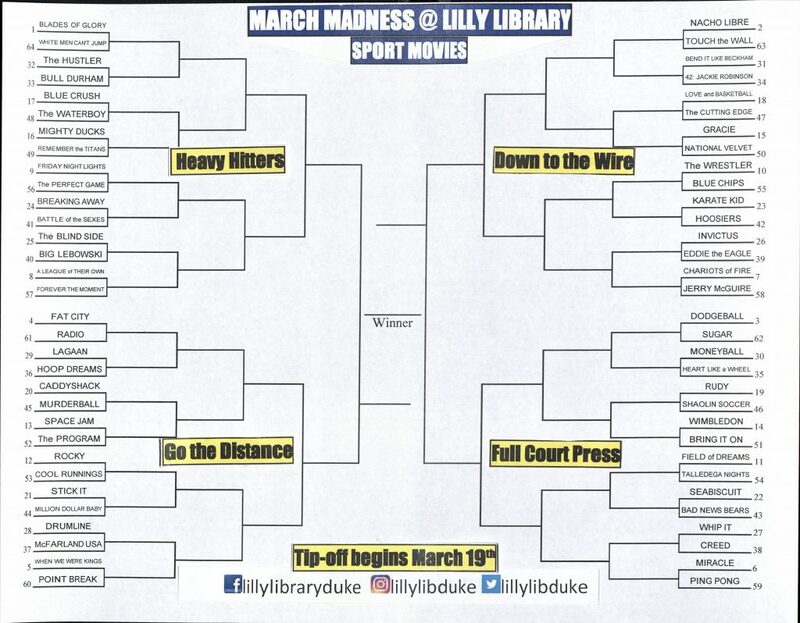 Duke Self-Checkout is a fast, easy way to check out books from the Duke University Libraries. 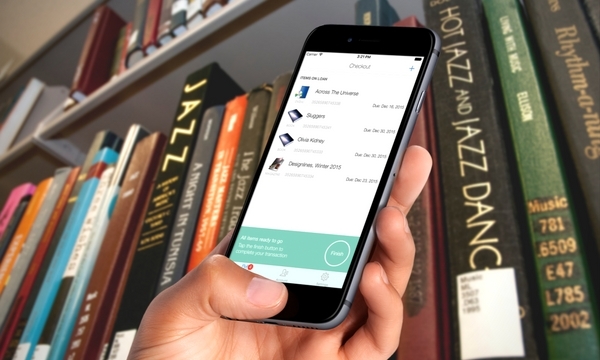 Starting this week, you can now use your smartphone to check out library books in Perkins and Bostock Libraries, without having to bring them to the desk on the main floor. Yes, there’s an app for that. It’s called Duke Self-Checkout. Visit the App Store (Apple devices) or Google Play (Android) and search for ‘Duke Self-Checkout’ to download the free app. Make sure to let Duke Self-Checkout access your camera, send you notifications, and use your location. Open the app and log in with your Duke NetID and password. Click the ‘+’ sign in the top right corner to activate your camera. When you find a book you want to check out, use the app on your phone to scan the library barcode. The app will blink green when it recognizes the barcode and check the item out to you right there. That’s it! Remember to demagnetize your book before you leave the building! If you want leave the building with your book, make sure you stop at one of the Duke Self-Checkout stations to demagnetize your book so it doesn’t set off an alarm. Don’t have a phone or don’t want to download the app? Use the iPad at the Duke Self-Checkout stations, located in Perkins near the Perkins / Bostock Lobby, and in Bostock at the Edge Service Desk. Duke Self-Checkout is also available at the Marine Lab Library. 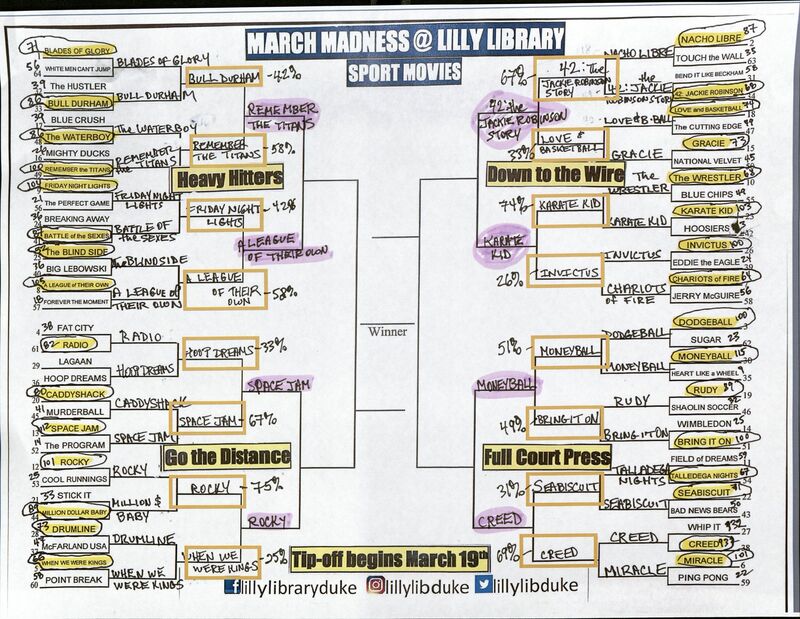 Every year the Duke University Libraries run a series of essay contests recognizing the original research of Duke students and encouraging the use of library resources. We are pleased to announce the winners of our 2016-2017 library writing and research awards. Recognizing excellence in undergraduate research using sources from the Libraries’ general collections. Recognizing excellence of analysis, research, and writing in the use of primary sources and rare materials held by the Rubenstein Rare Book & Manuscript Library. Recognizing excellence in undergraduate research using primary sources for political science or public policy. Recognizing outstanding undergraduate creative writing. Join Us at the Awards Reception! We will be celebrating our winners and their achievements at a special awards reception coinciding with Duke Family Weekend. All are invited to join us for refreshments and the opportunity to honor the recipients. This spring Michael Peper and Melanie Sturgeon, two Duke science and engineering librarians, left Duke University Libraries to pursue other opportunities. We’re sad to lose these valued colleagues, but are thrilled to introduce two new staff members and some different roles for remaining staff. Please see below for our updated titles and responsibilities. 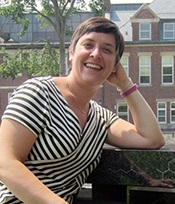 Elena has moved into a leadership role for the science and engineering librarians group, and she looks forward to continuing her work with the departments of Biology and Evolutionary Anthropology as well as other biologically focused programs. Ciara is thrilled about continuing her work with the Department of Psychology & Neuroscience and Duke Institute for Brain Sciences, and learning more about the needs of the Departments of Mathematics and Physics. Janil will continue coordinating library services and collections at the Duke Marine Lab, serving the Nicholas School of the Environment’s Division of Marine Science & Conservation as well as other Marine Lab patrons. Sarah joins Duke on July 18 as liaison to the Pratt School of Engineering and the Department of Computer Science. She has 15 years of experience as a science and engineering librarian, most recently at Southern Illinois University Edwardsville. In addition to her library science degrees, Sarah holds an M.S. in applied computer science. 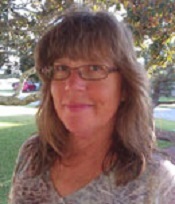 Jodi joins Duke on August 14 as liaison to the Departments of Chemistry and Statistical Science. 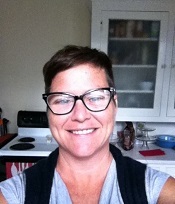 She has 15 years of experience as a science and engineering librarian, most recently at Williams College. Brittany will continue to coordinate services and spaces for The Edge research commons and will take on a new role as liaison to the Nicholas School of the Environment. 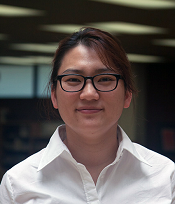 Brittany has experience as the librarian for Cultural Anthropology, which will return to the care of librarian Linda Daniel. If you’re ever in doubt about which of us to contact, we can all be reached at askscience@duke.edu. We look forward to hearing from you! The holidays are just around the corner, and you still don’t know what to get that person on your list who has everything. Don’t worry, we’ve got you covered. Instead of another tie or pair of socks, give a gift that matters to every member of the Duke community. 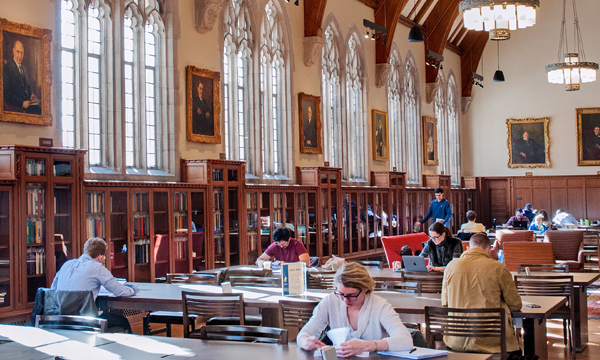 Make an honorary or memorial gift to Duke University Libraries, and make a difference in the lives of our students, faculty, and researchers. Your gift to one of the funds below helps us continue to add resources and services that support the Duke and Durham community. The Adopt-A-Digital Collection program funds the long-term preservation and storage of our digital collections. 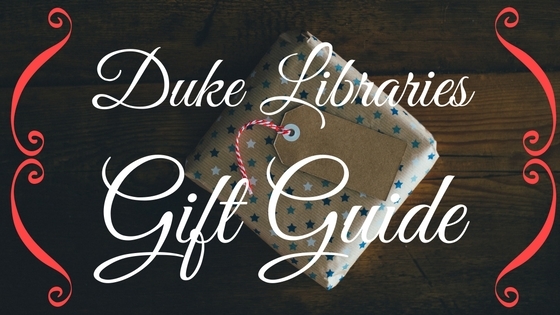 Thank you for strengthening the Duke community by making a gift to the Duke University Libraries this holiday season! PLEASE NOTE: When you make an honorary or memorial gift online, please be sure to fill out the necessary information in the “Gift Dedication” section of our online giving form. The papers of Maria de Bruyn, a medical anthropologist, are a recent acquisition by the History of Medicine Collections and will be the focus of this event and several others this fall. 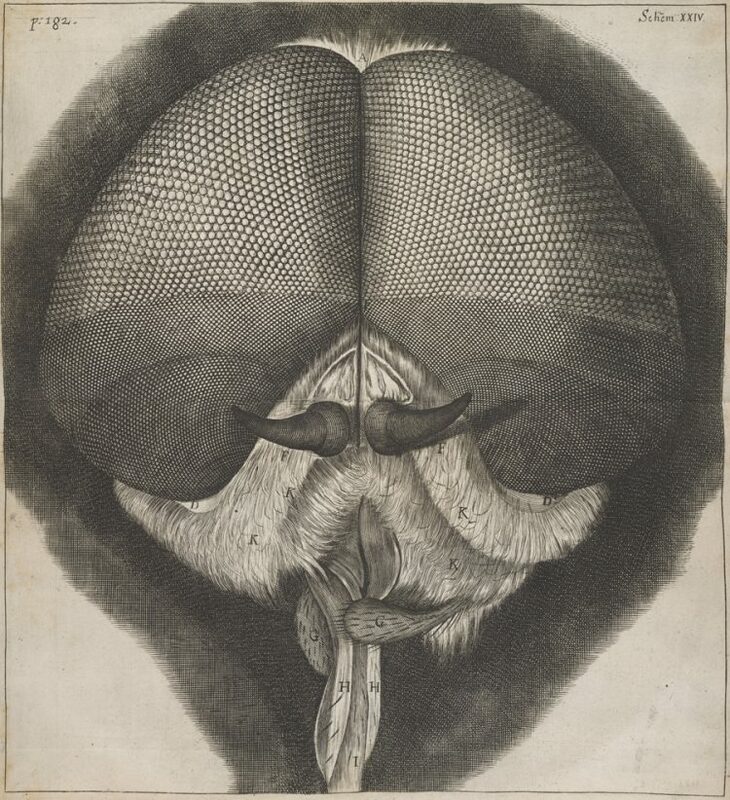 The Duke University History of Medicine Collections is a rich resource for teaching Duke medical students about the centuries of medical experimentation that inform the modern practice of medicine. On November 30, the Franklin Humanities Institute Health Humanities Lab will host a special World AIDS Day event featuring a keynote address by de Bruyn and a lecture by poet and writer Kelley Swain. 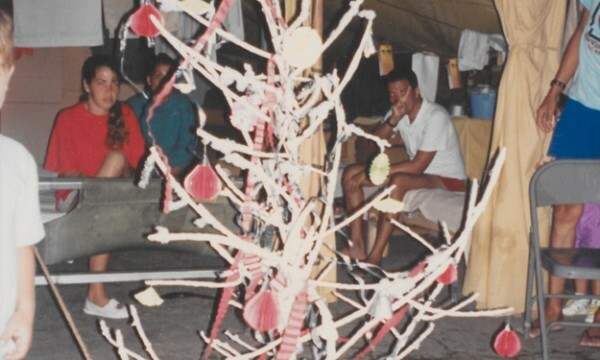 In addition, students in professor Kearsley Stewart’s Duke Global Health Institute’s fall seminar on HIV/AIDS will discuss their three-week workshop with Swain and present an exhibit of their work based on materials from the Maria de Bruyn collection. A reception is to follow the presentations. 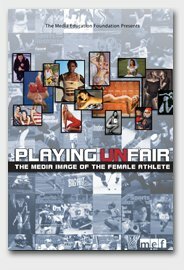 The event is free and open to the public and will take place on November 30, 3:00 – 6:00 pm, in Rubenstein Room 153. 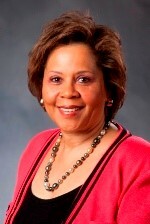 Contact Kearsley Stewart for more information, k.stewart@duke.edu. 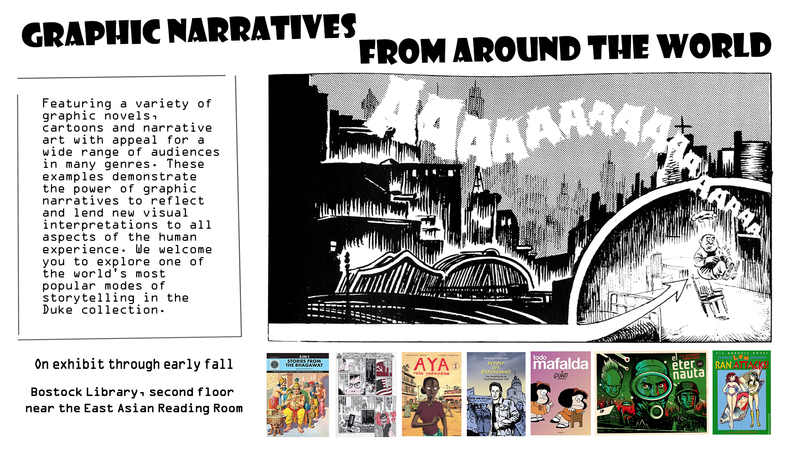 As bookbagging classes for the Spring semester commences, we are excited to announce the next wave of Archives Alive courses offered for Duke undergraduates. 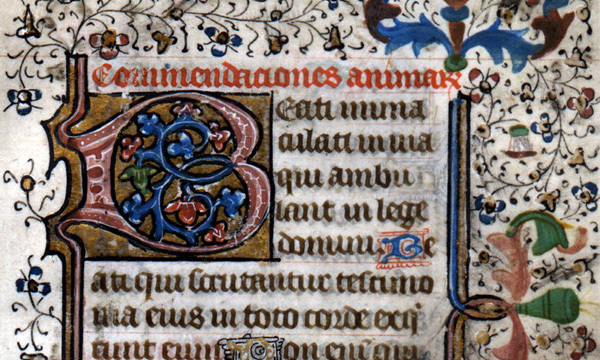 These courses are aimed at enabling students to develop innovative and significant projects based on original materials held in the David M. Rubenstein Rare Book & Manuscript Library. 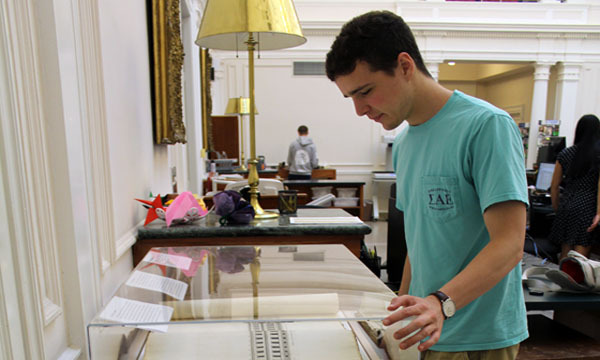 As opposed to traditional offerings, Archives Alive courses provide students with weekly opportunities to conduct “hands-on” explorations into the rich and varied collections of rare print, manuscript, photographic, and audio materials. Students gain first-hand exposure to advanced research techniques in the new classroom space of the Rubenstein Library. This upcoming semester, the Rubenstein Library will host two engaging courses that debuted last year. 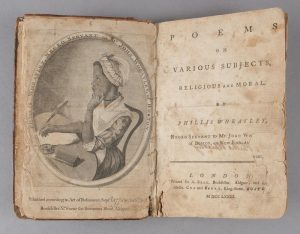 “History of the Book,” a phenomenally successful course on written text in its earliest forms through the 21st century, has been described by students as “thrilling,” “awesome,” and “engaging.” Another course dealing with recording technology, music, local history, and digital tools, “NC Jukebox,” has students raving about the hands-on explorations into century-old correspondence and audio recordings. Read the full course descriptions on the Arts & Sciences website. 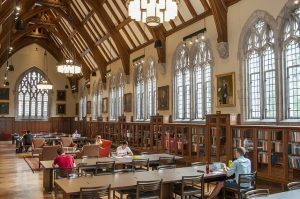 Starting this semester (Fall 2016), the Duke University Libraries will be piloting a program to provide selected textbooks on 3-hour reserve in Perkins Library on West Campus. 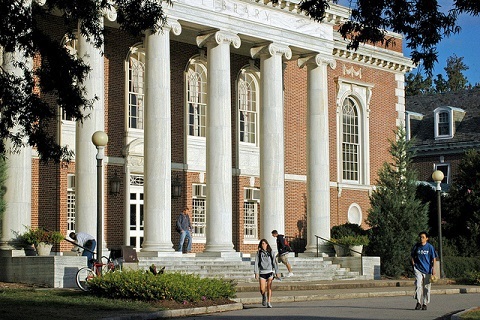 Some textbooks will also be available at Lilly Library on East Campus. Included among the 300 items are textbooks for courses in Economics, Chemistry, Math, Latin, French, Italian, and Spanish. 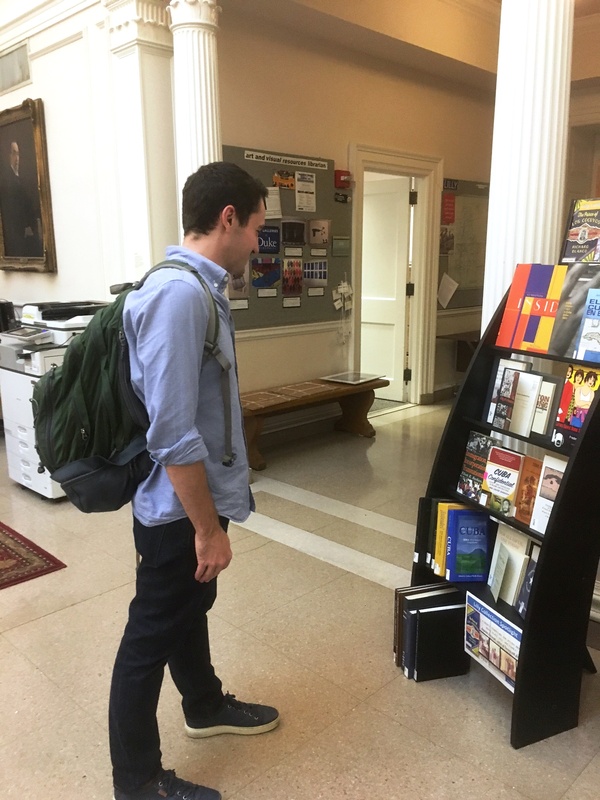 The books have been selected based on orders placed with the Duke Textbook Store by departments and faculty. Visit our website to see a complete listing of the textbooks on reserve, organized by course. Please note: Textbooks on reserve are not intended to take the place of students purchasing textbooks for their courses. Due to budget limitations, the Libraries are unable to purchase textbooks for every course at Duke. Circulation numbers will be reviewed to determine if this pilot program is valued and should be extended. For questions related to textbook reserves at Perkins Library, please contact: perkins-reserves@duke.edu. 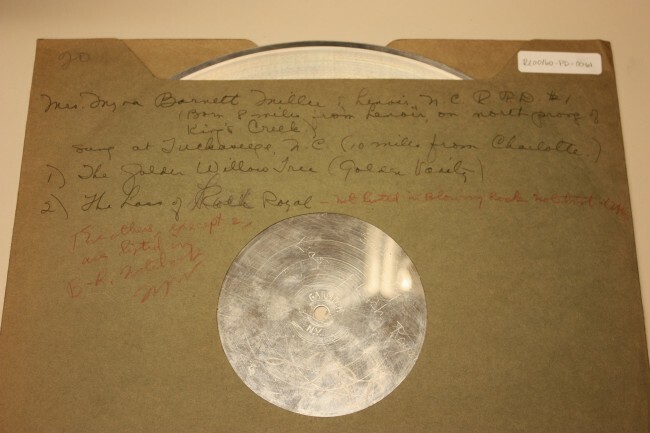 Guest post by Winston Atkins, Preservation Officer for the Duke University Libraries and Principal Investigator for the grant to digitize Frank Clyde Brown’s recordings of early twentieth-century folk music. Frank C. Brown in the field, date and location unknown. Brown often used a car battery to power the recording devices he used. We are a nation linked by iHeartRadio stations playing “Start Me Up” by the Rolling Stones—that much is certain. I come to understand this as I drive the Frank Clyde Brown Collection’s 60 wax cylinders and 76 aluminum discs of folk songs and ballads to the Northeast Document Conservation Center (NEDCC) in Andover, Massachusetts. There, the NEDCC will use a new and highly innovative technology called IRENE to help us rediscover these performances, which have been essentially unavailable to scholars for nearly a century. It’s almost too easy to contrast that single, frequently repeated song (unloved by me) with my cargo, but I do it anyway: it’s a 15-hour trip and I’ve got time. The 136 cylinders and discs hold an estimated 1,367 performances collected by Brown as he traveled across North Carolina between 1915 and his death in 1943. Brown, an English professor who also served as comptroller during Trinity College’s transition into Duke University, somehow also found time to drive into back areas throughout North Carolina to record this music. There’s a certain symmetry to me driving his recordings from Duke to Andover. Because they are too fragile to be played as intended, the cylinders and discs will be digitized using a non-contact visual scanning technology known as IRENE. Image courtesy of NEDCC.org. The wax cylinders are especially brittle, though, which is why Craig Breaden and I finally decided I should drive them to the NEDCC rather than ship them. 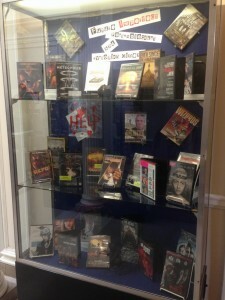 Craig, the Rubenstein Library’s Audiovisual Archivist, serves as the Project Manager for this grant. We’ve taken special care in packing, and each cylinder is stored in its own box. Twenty cylinders are then housed in a storage box, and for the trip, each storage box is packed in a larger box and surrounded by foam packing peanuts. The single storage box of aluminum discs is packed the same way. Although not as fragile as the wax cylinders, some of the discs use an acetate “lacquer” for the recording medium, which can be damaged. The care extends to the trip: I’ve rented a minivan, which provides the bonus of a separate air conditioning system for the back storage area. That helps keep the cargo at a uniform temperature—changes in temperature are particularly hard on wax cylinders. In fact, I decide not to eat dinner while the outdoor temperature is above 75 degrees because I don’t want to leave the air conditioning off for too long. 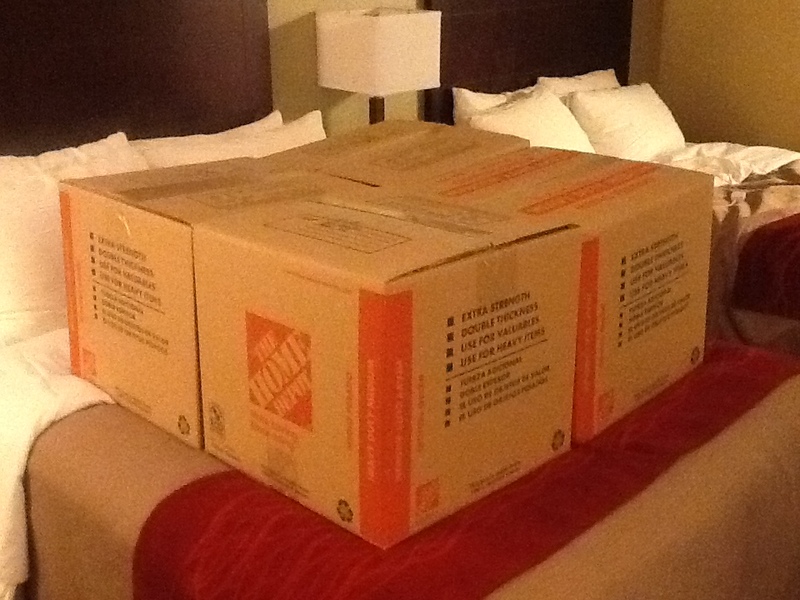 I drive to Hartford, Connecticut, that night and when I check into the motel, I take all four boxes into my room, where I put them on the bed instead of on the floor, just in case the fan coil unit leaks. They look kind of cozy there. The boxed-up cylinders and discs, resting from their journey. 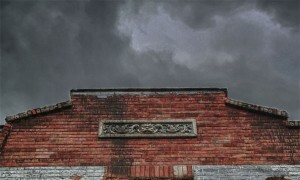 What makes the IRENE technology worth the trouble? Craig and I will write more about it over the course of this project, but IRENE is perfect for material like this. IRENE makes ultra-high resolution visual scans of a disc’s or cylinder’s grooves to create an image of the track; its software converts the images to sound files. Creating visual scans first means that we can get an accurate digital sound file without a needle or stylus. 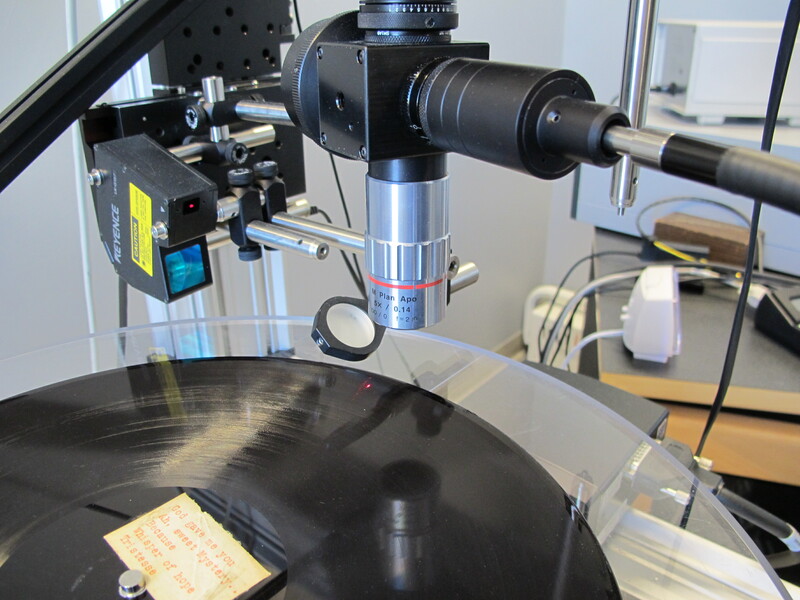 That provides two important advantages: we don’t risk further damage to the grooves of these fragile media, and IRENE can sometimes recover sound from cracked or broken discs and cylinders if it can get an image of the grooves sufficient to match up with the other pieces. It’s amazing, and only the NEDCC provides this service. 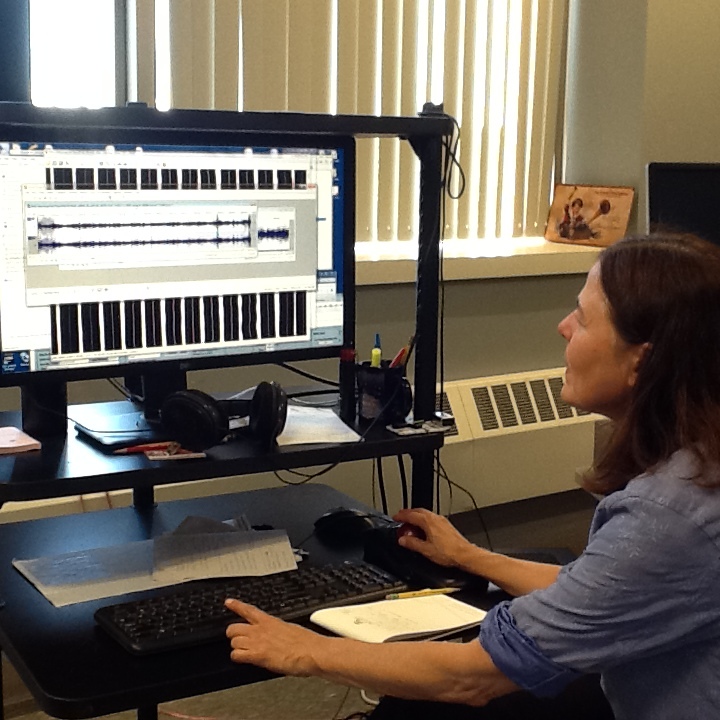 Jane Pipik, Manager of Audio Preservation Services at NEDCC, demonstrates how IRENE translates visual groove scans into digital sound files. All of us associated with this project feel like the Brown Collection is a great collection, the music a treasure waiting to be rediscovered. 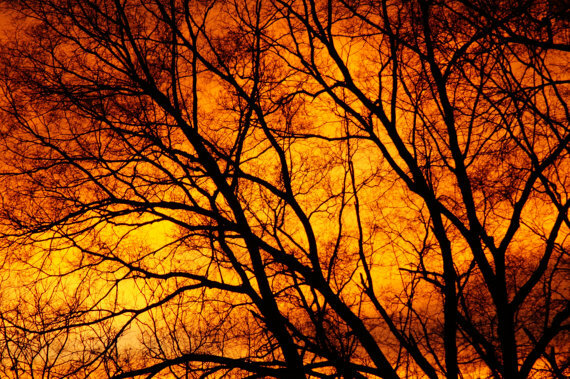 The recordings contain ballads and folk songs that can be traced back to England, songs that traveled to North Carolina from other parts of the United States, and songs like those around the murder of Laura Foster by Tom Dula (a.k.a. Tom Dooley) that originated here. And that’s what distinguishes this music from the Stones’ “Start Me Up.” Although the same song might be represented several times in the collection, each performance is unique; each musician provided his or her own take on the lyrics and music, or of the people from whom he or she learned the music. Even though the title might be the same, each performance potentially offers insights to us about the culture of the musicians’ locale. That is what makes the trip worth it. 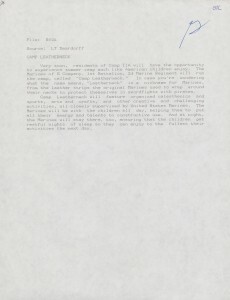 The grant to digitize Frank Clyde Brown’s recordings is part of the Council on Library and Information Resources’ Digitizing Hidden Special Collections and Archives awards program, a national competition that funds the digitization of rare and unique content held by libraries and cultural memory institutions and that would otherwise be unavailable to the public. The Council on Library and Information Resources is an independent, nonprofit organization that forges strategies to enhance research, teaching, and learning environments in collaboration with libraries, cultural institutions, and communities of higher learning. The program receives generous support from The Andrew W. Mellon Foundation. Founded in 1969, the Andrew W. Mellon Foundation endeavors to strengthen, promote, and, where necessary, defend the contributions of the humanities and the arts to human flourishing and to the well-being of diverse and democratic societies by supporting exemplary institutions of higher education and culture as they renew and provide access to an invaluable heritage of ambitious, path-breaking work. Additional information is available at mellon.org. 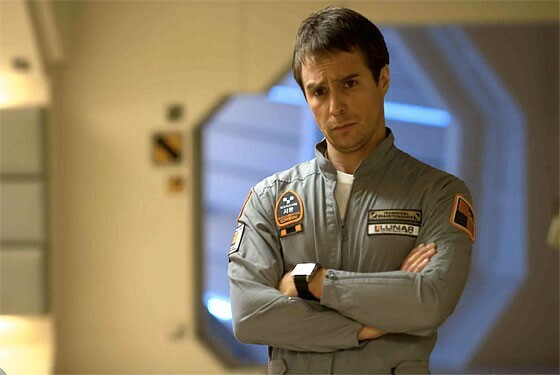 The paradoxes of time travel are a never ending source of fascination for sci-fi film buffs. 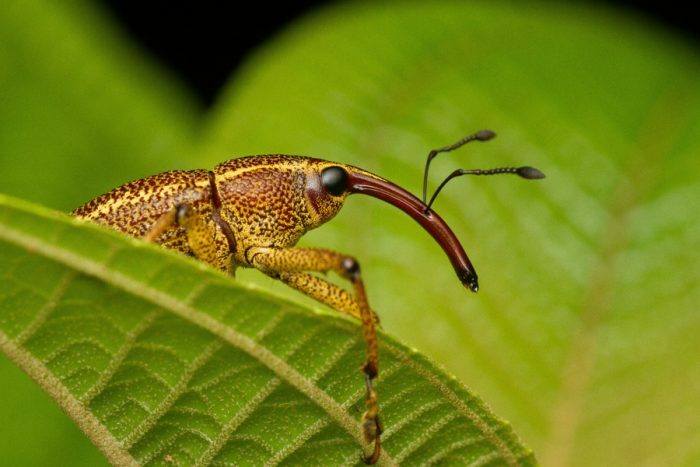 Lilly’s robust collection includes a few lesser known, but intriguing examples. In Timecrimes (2007) a man is drawn to a young woman who appears mysteriously in the woods near h is house. The resulting events pull him into a series of time loops. Primer (2004), which won the Grand Jury Prize at Sundance, is the tale of two men who invent a rudimentary time travel device in their garage. 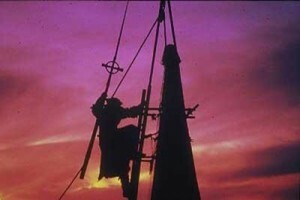 The Navigator (1988) tells the story of a band of 14th century townsfolk who, while trying to escape the Black Death, stumble upon a fissure in time and end up in the 20th century. Jacques Rivette’s Celine and Julie Go Boating follows the evolving friendship of two women and their magical trip into the past as they attempt to rescue a young girl. 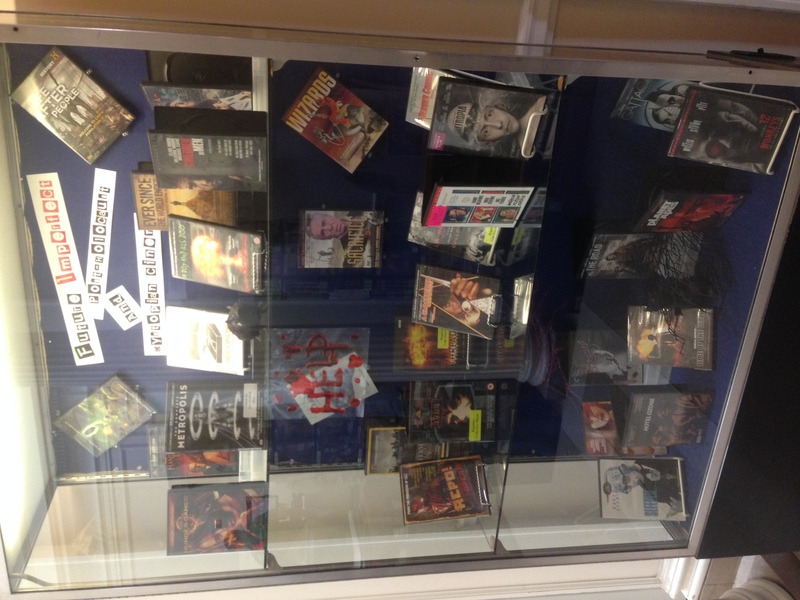 Explore the Duke Libraries film and video collection for more time travel-related titles. 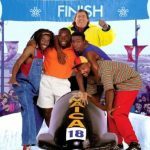 In the mid 1980s Spike Lee opened the door for many African- American filmmakers. 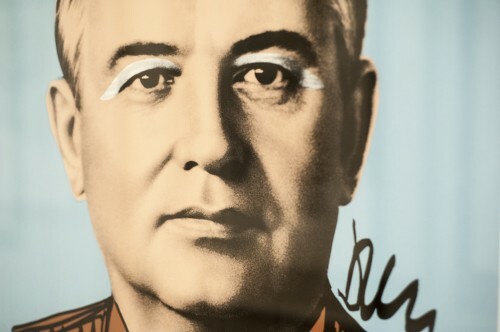 It is sometimes easy to forget those who laid the groundwork for his success. 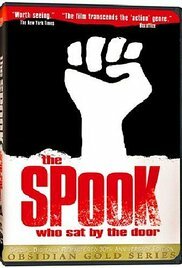 Ivan Dixon’s 1973 film The Spook Who Sat by the Door takes a look at discrimination within the CIA. 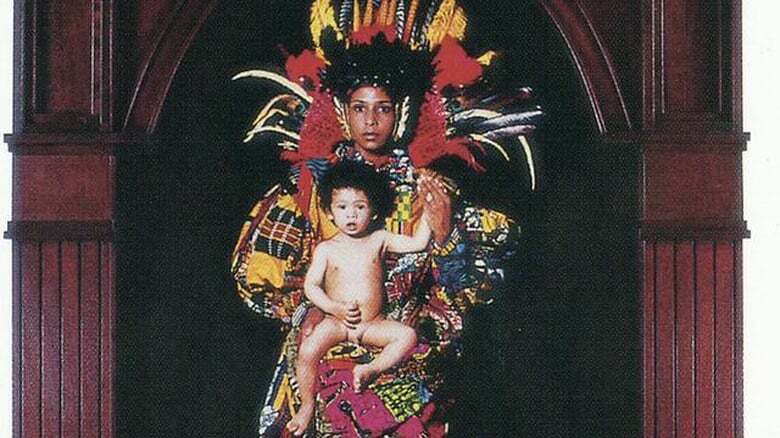 Haile Gerima, the first important African-American female director, gave us Bush Mama (1975), which details the difficult life of a single mother. 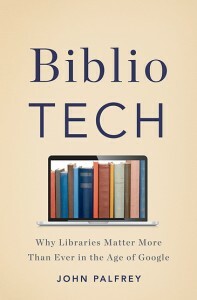 When: Thursday, April 7, 5:00 p.m.
Join the Duke University Libraries as we celebrate the opening of the Barbaralee Diamonstein-Spielvogel Archive with a special lecture featuring educator and technology expert John Palfrey, distinguished authority on education and technology and author of BiblioTech: Why Libraries Matter More Than Ever in the Age of Google (Basic Books, 2015). 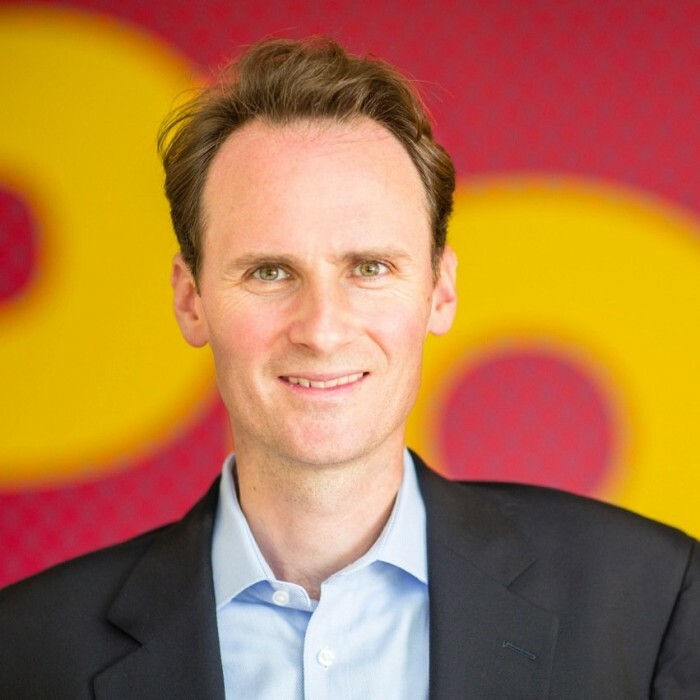 Palfrey is the Head of School at Phillips Academy in Andover, Massachusetts. He is also a faculty co-director of the Berkman Center for Internet & Society at Harvard University. Previously, Palfrey served as Vice Dean for Library and Information Resources at Harvard Law School and as the founding chairman of the Digital Public Library of America. He has written extensively on internet law, intellectual property, and the potential of new technologies to strengthen democracies locally and around the world. Palfrey’s talk will be followed by a brief response by N. Katherine Hayles, James B. Duke Professor of Literature at Duke and author of numerous books, including How We Think: Digital Media and Contemporary Technogenesis (University of Chicago, 2012). Sponsored by the Duke University Libraries, David M. Rubenstein Rare Book & Manuscript Library, Information Science + Studies Program, Information Initiative at Duke, Masters of Fine Arts in Experimental and Documentary Studies Program, Center for Documentary Studies, Forum for Scholars and Publics, and the UNC School of Information and Library Science. Some 60 wax cylinders and 76 aluminum discs containing approximately 1,367 songs recorded in the 1920s and 1930s will be digitized as part of the project. 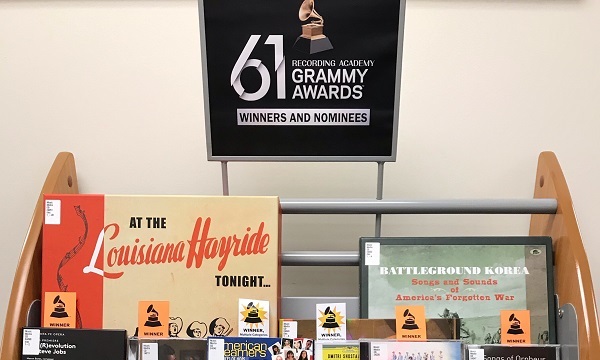 Duke University Libraries has received a $74,595 grant from the Council on Library and Information Resources (CLIR) to digitize a large collection of North Carolina folk music that has never been widely heard. The collection includes some 1,367 songs recorded in the 1920s and 1930s on wax cylinders and aluminum discs. 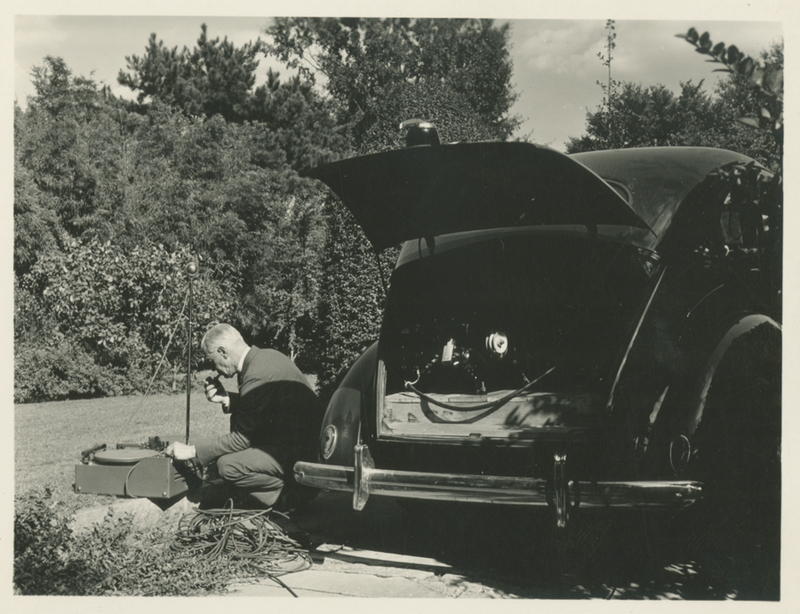 The recordings were made in the field by folklorist, professor of English, and Duke University administrator Frank Clyde Brown (1870-1943), who traveled across North Carolina collecting folk songs, sayings, stories, and other folklore between 1912 and his death in 1943. Brown collected songs from at least 52 of North Carolina’s 100 counties, representing all regions of the state. The songs have never been widely accessible due to the age and fragility of the recording technology Brown used, as well as the difficulty of transferring them to more modern media formats. Because they are too fragile to be played as intended, the cylinders and discs will be digitized using a non-contact visual scanning technology known as IRENE. 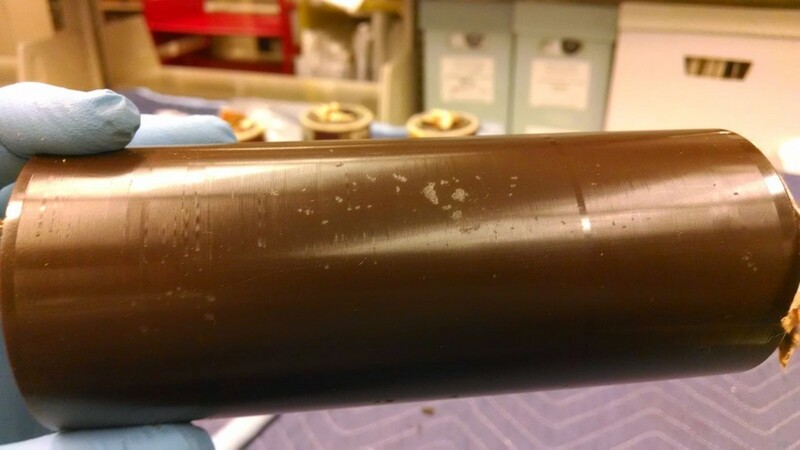 “Until recently, there has been no non-destructive way to recover audio on historical wax cylinders and aluminum discs, which require a mechanical stylus and can be damaged if played today,” said Craig Breaden, Audiovisual Archivist in Duke’s David M. Rubenstein Rare Book & Manuscript Library. The Duke recordings will be digitized using a new non-contact technology, known as IRENE, at the Northeast Document Conservation Center in Andover, Massachusetts. IRENE takes ultra-high resolution visual scans of the grooves imprinted on the cylinders and discs and mathematically translates those into digital sound files that are remarkably faithful to the original recordings. Because there is no actual contact with the recording, IRENE’s scans can also capture sounds from damaged media. The method has been used successfully to digitize other historical audio collections, including some of the earliest examples of recorded sound made by Thomas Edison. Digitization will begin in the summer of 2016 and take approximately one year. The recordings will then be described and processed, and the collection will be made freely and publicly available through the Duke University Libraries website in 2018. Undated photograph of Frank C. Brown from the Duke University Archives. Born in 1870, Frank Clyde Brown began his career as a professor of English at Trinity College in Durham (the forerunner of Duke University) in 1909 and later became chairman of the department. 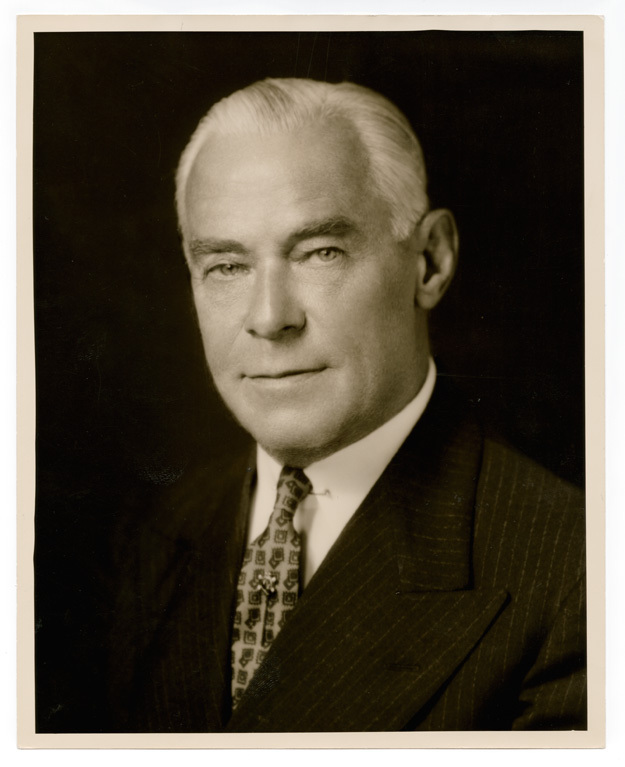 Between 1924 and 1930, as Trinity expanded into Duke University, Brown served as the institution’s first comptroller, overseeing the construction of West Campus and the renovation of East Campus. He also served as university marshal, entertaining distinguished visitors to the new university. In 1913, at the urging of legendary folklorist and musicologist John A. Lomax, Brown founded the North Carolina Folklore Society and was elected its first president. He later served as its secretary-treasurer, program chairman, and primary collector until his death in 1943. 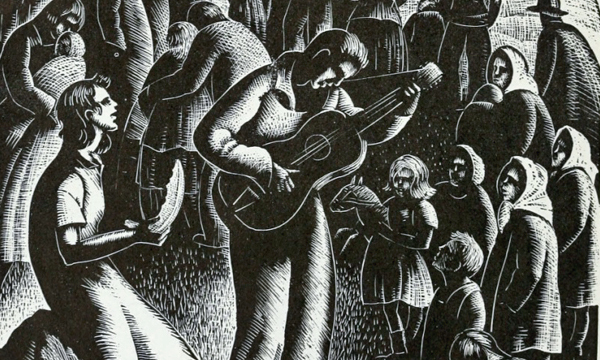 His efforts to record the sounds and nuances of North Carolina’s “folk” were part of a national trend in the early twentieth century to preserve American folk culture, aided by new technologies that allowed folklorists to make recordings in the field. The 1,367 songs captured by Brown are a significant part of that legacy. The seven-volume Frank C. Brown Collection of North Carolina Folklore, published posthumously by Duke University Press between 1952 and 1964, represents Brown’s lifetime of collecting. 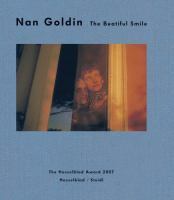 It is widely regarded as one of the premiere collections of American folklore ever published and is available online. Four of the seven volumes are dedicated to the music Brown recorded and include transcribed melodies and song lyrics. However, the editors of Brown’s work left out an estimated 400 songs he recorded. These “bonus tracks,” which are found on the wax cylinders and aluminum discs but not in the published collection, will be digitized as part of the project. 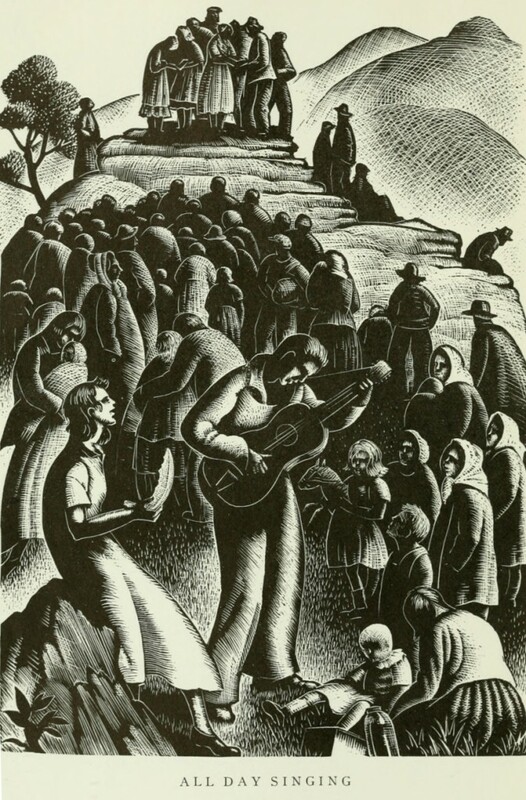 “All Day Singing.” Woodcut by Clare Leighton, from Vol. 2 of the Frank C. Brown Collection of North Carolina Folklore, published by Duke University Press in 1952. Brown’s original manuscripts and notes, which were used to compile the collection, along with his original recordings, are housed in Duke’s Rubenstein Library. In 2015, two Duke faculty members—Victoria Szabo and Trudi Abel—incorporated some of the Frank C. Brown recordings into NC Jukebox, an interdisciplinary Bass Connections course introducing undergraduate and graduate students to digital history. Students conducted original research on the history of the recordings and tracked down the descendants of some of the singers and musicians. The course will be offered again in Spring 2017. The grant to digitize Brown’s recordings is part of CLIR’s Digitizing Hidden Special Collections and Archives awards program, a national competition that funds the digitization of rare and unique content held by libraries and cultural memory institutions that would otherwise be unavailable to the public. 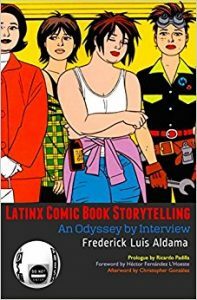 The Rubenstein Library at Duke holds one of the largest archival collections of comics in the world, including many rare and first issues. Join the Duke University Libraries for a night of comics-themed trivia at Fullsteam Brewery in downtown Durham. 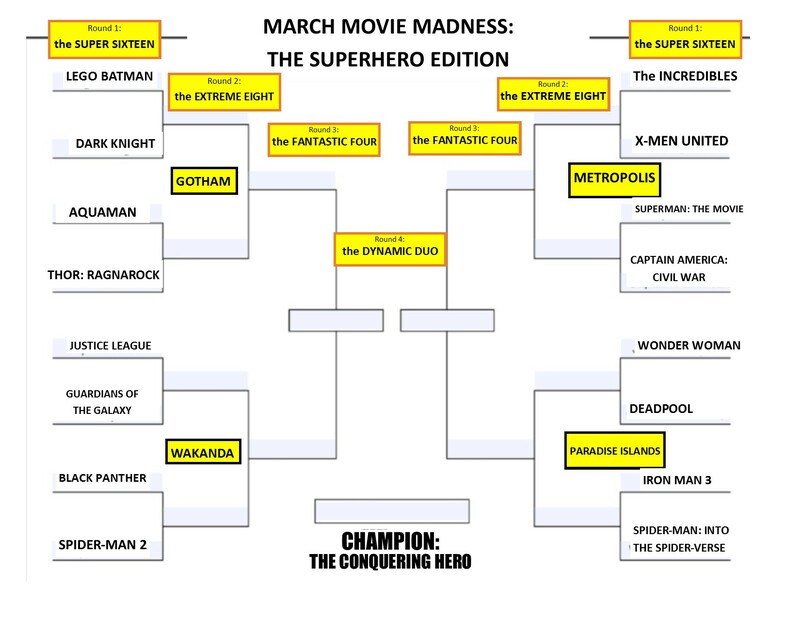 Test your knowledge of superheroes, women in comics, comics and war, popular media depictions of comics, and more. 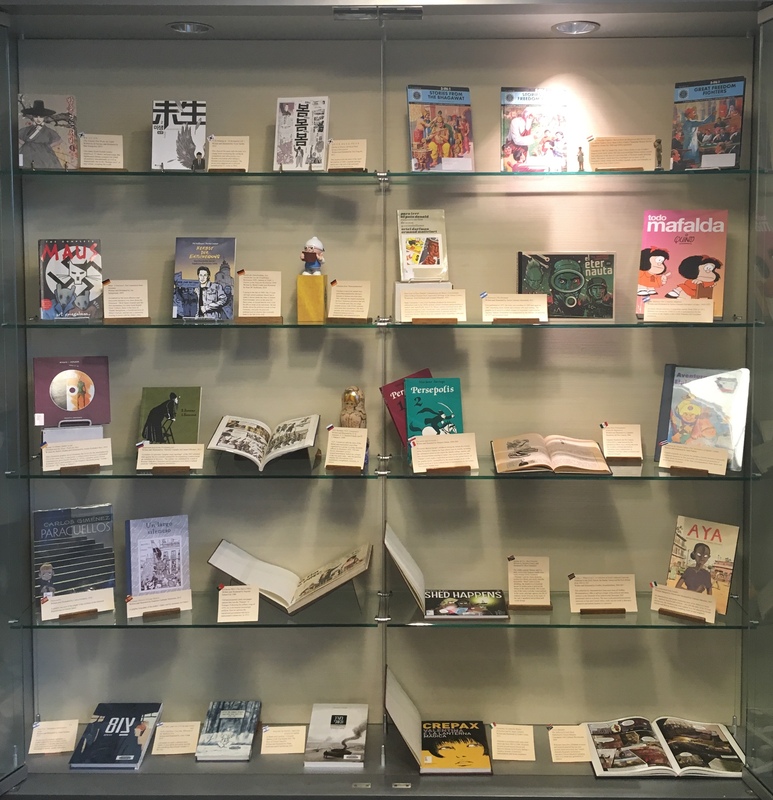 Duke’s Rubenstein Library is home to the Edwin and Terry Murray Comic Book Collection, which includes over 65,000 comics from the 1930s to the present, making it one of the largest archival comic collections in the world. 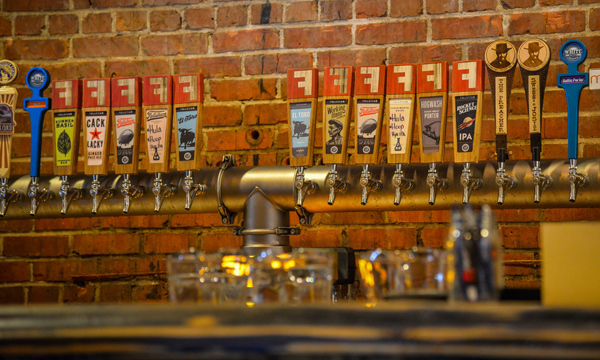 Our comics trivia night will take place at Fullsteam Brewery in downtown Durham on July 23. 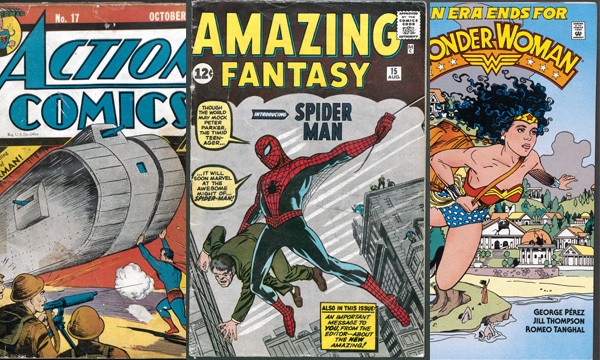 Our comics trivia night will coincide with Durham Comics Fest on July 25, an annual, all-ages celebration of comics and graphic novels organized by the Durham County Library. This event is free and open to the public, ages 21 and up. 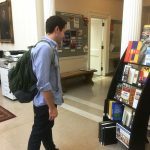 Starting Oct. 1, Duke students, faculty, and staff will be able to check out books in-person from nearly a dozen other major research libraries. 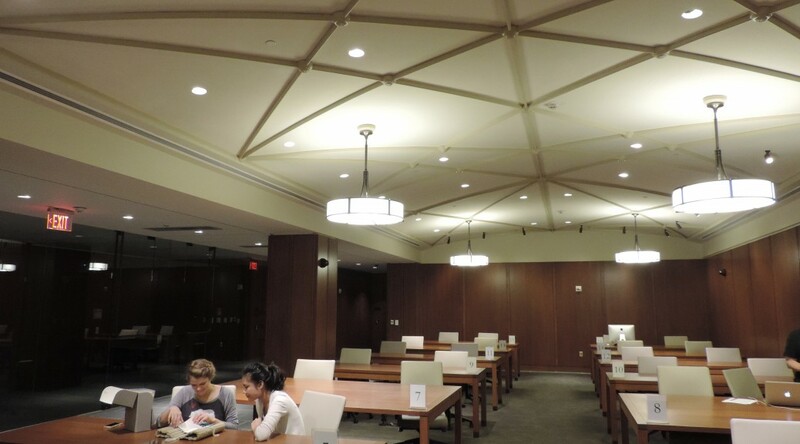 Duke University students, faculty, and staff will soon enjoy on-site library borrowing privileges at several other major research universities, courtesy of a new program known as BorrowDirect Plus. Under a new pilot agreement beginning October 1, 2014, students, faculty, and staff from the following institutions will have reciprocal on-site borrowing privileges: Brown University, University of Chicago, Columbia University, Cornell University, Dartmouth College, Duke University, Harvard University, Johns Hopkins University, Massachusetts Institute of Technology, University of Pennsylvania, Princeton University, and Yale University. Guest users who have been verified and have home library accounts in good standing will have in-person access to materials at any of the participating libraries. When visiting one of these libraries, members of the BorrowDirect Plus community will need to show their campus ID card and log into their home library account to show their current status. Once verified, they will be issued a library card from the institution they are visiting. 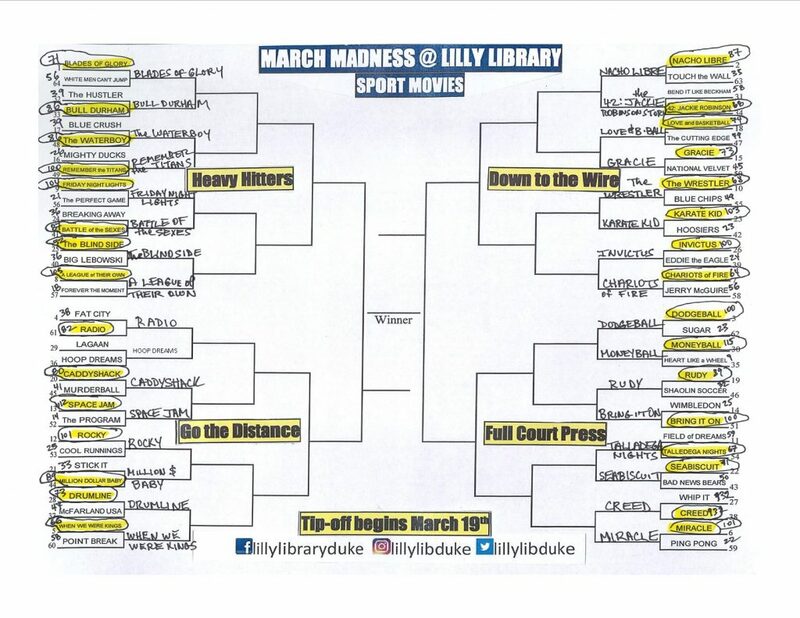 For the most part, these same materials are already available through BorrowDirect, a rapid book request and delivery system used by all of the participating institutions (with the exception of Duke). The new agreement expands the system to include this in-person component. Just a sampling of the hundreds of popular titles you can now download as eBooks or audiobooks and enjoy on your own device. Click on the image to get started. 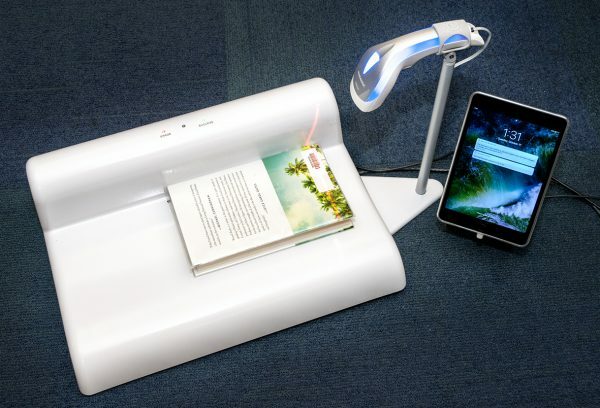 Duke University Libraries and Ford Library at the Fuqua School of Business are excited to offer a new service that allows library users to download and enjoy popular eBooks and audiobooks on their own devices, including iPhones, iPads, NOOKs, Android phones and tablets, and Kindles. 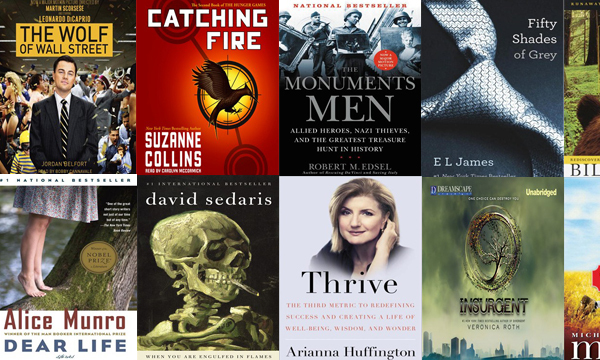 The new service, called OverDrive, has hundreds of popular fiction and non-fiction titles to choose from, including best-selling novels, well-known classics, self-improvement guides, and much more. We are adding new titles to Duke’s collection all the time. 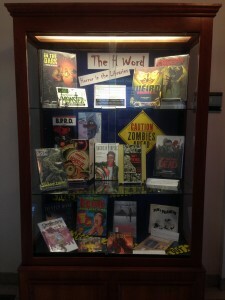 Browse through the available titles, and check them out using your Duke NetID. 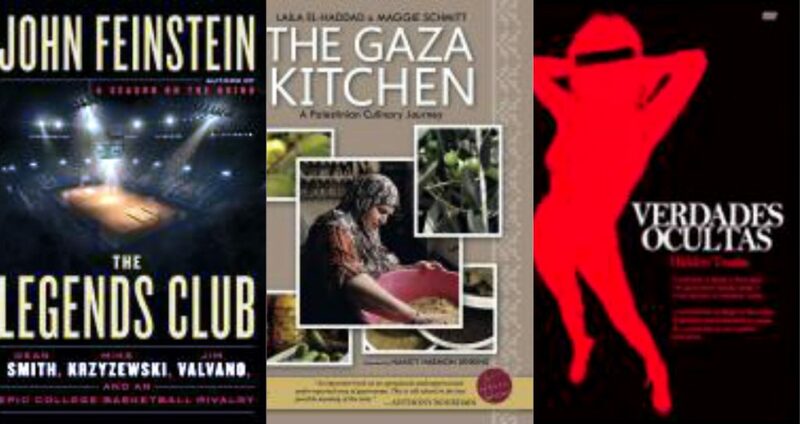 You can check out up to five (5) eBooks or audiobooks at one time. Titles will automatically expire at the end of the lending period (21 days). 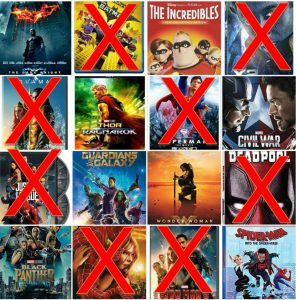 There are no late fees! 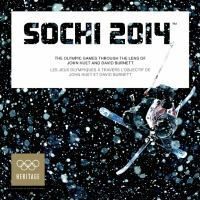 eBooks can be read immediately on any device with an internet browser. 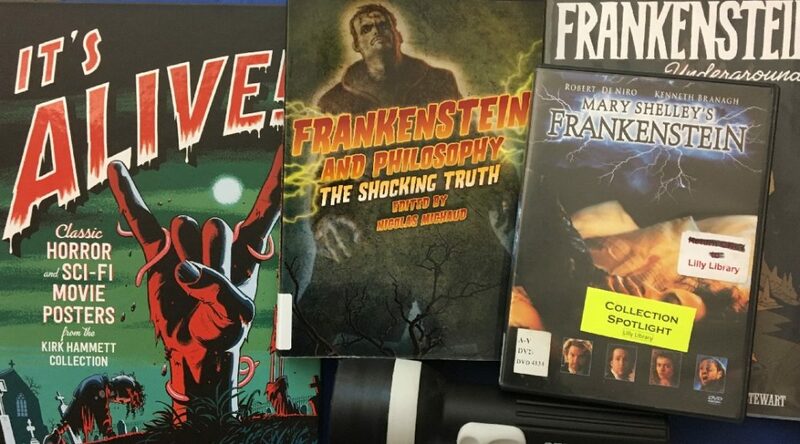 Audiobooks can be streamed using the OverDrive Media Console app, which you can download for free on all major desktop and mobile platforms. If a title is already checked out, you can place it on hold and request to be notified when it becomes available. You can place up to ten (10) titles on hold at a time. If you don’t see a title you’re looking for, submit a request from any search page using the option. We’ll add requested titles to our wishlist and purchase them as funds become available. Once you download a title, you can transfer it to your iPhone, iPad, NOOK, Android phone or tablet, or Kindle. In addition to hundreds of new and recently published books, you can also download tens of thousands of public domain classics as eBooks through OverDrive. Look for the “Project Gutenberg” link under Featured Collections. 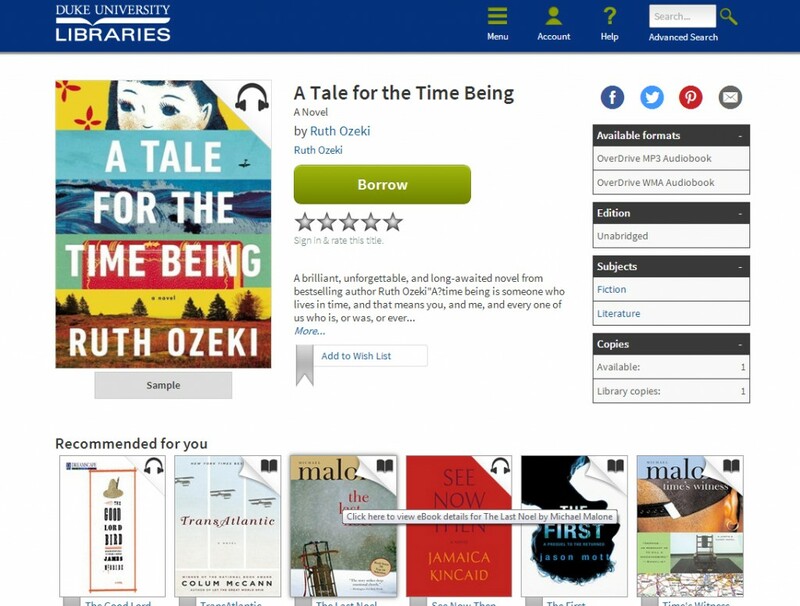 We are in the process of adding to our initial selections in OverDrive, so we encourage you to submit recommendations through the site if there are eBooks or audiobooks you’d like to see available. To get started, visit the Duke OverDrive website. And let us know what you think! Screenshot of the OverDrive interface. Just a click “Borrow” to check out a title with your Duke NetID, or place it on hold and get notified when it becomes available. We’re looking for undergraduates, graduate students, and faculty to participate in one-hour focus groups. Your opinion counts! Share your thoughts about ways to improve and enhance library services, collections, and spaces in a one-hour moderated focus group. In return, we’ll feed you! 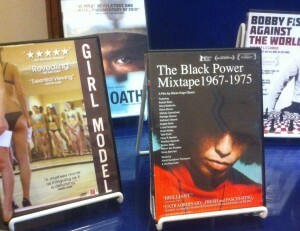 Here in the Libraries, we’re always trying to up our game. To help us serve our Duke students and faculty better, we conduct periodic focus groups with undergraduates, graduate students, and faculty members. Your opinion counts! Share your input and make a difference. 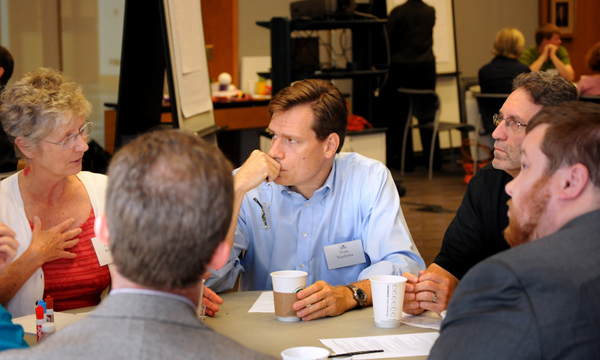 Focus groups help us improve our existing services and develop new ones to meet emerging needs. Click on the links below to be part of a focus group session. 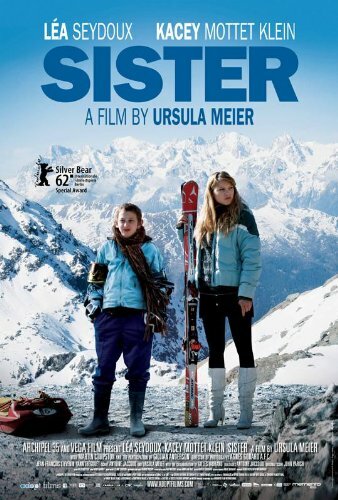 Check out these heroines and their sisters in action in the Lilly Video Spotlight! La Femme Nikita (DVD 8982) A cop-killer junkie (Anne Parillaud) is forced by the government to become an undercover assassin or face a life in prison. Brave (DVD 22979) Princess Merida, an archer and self-reliant young woman, makes a decision which defies custom and brings chaos to her kingdom. 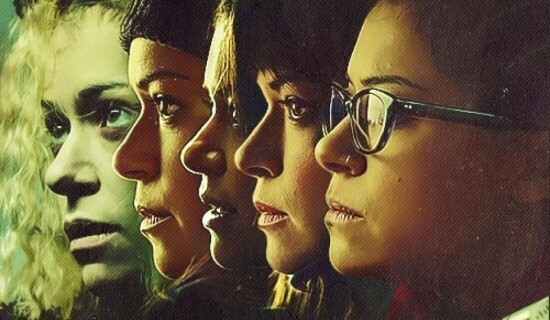 To restore her kingdom, she must discover her bravery and inner strength. Alien (DVD 3311) Terror begins when the crew of a spaceship investigates a transmission from a desolate planet and discovers a life form that is perfectly evolved to annihilate mankind. Halloween always brings out the worst in people. 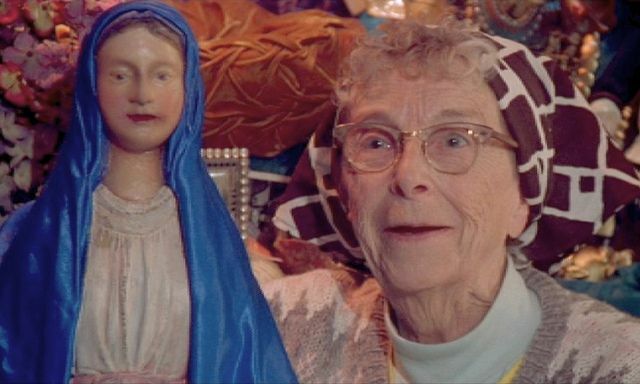 Garish pumpkin sweaters and sequined Walmart costumes. It was with that dejection about this commercial holiday that I discovered the ghost stories of a prominent art historian, the Cambridge manuscript curator Montague Rhodes James http://www.dictionaryofarthistorians.org/jamesm.htm. James, provost of King’s College (1905-1918), wrote stories in his spare time, yarns weaving his knowledge of antiquities together with the aberrant personalities (which were apparently more common in the nineteenth century), into stories of the supernatural. They are not easy reading. The stories ramble, focusing on physical detail without additional effect, rather like a drunk Henry James or a G. K. Chesterton without a sense of humor. Still, it’s fascinating to see what constituted scary a hundred years ago. Without the popularly-held image of what a ghost looks like, M. R. James describes them anew (one is characterized as a visage with its facial flesh burned off). Doom doesn’t last forever, either. The haunted manuscript acquired by an unsuspected dupe only temporarily brings its owner ill fate. 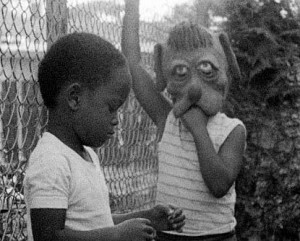 If Halloween is the time to experience the odd within the confines of the familiar, then M.R. James’ Ghost Stories are truly that. A glimpse of ancient days written from those very long ago days. Menri Monastery in Northern India possesses the world’s largest collection of manuscripts relating to Bön, the pre-Buddhist religion of Tibet. All photos by Edward Proctor. Duke University has received a grant from the British Library’s Endangered Archives Programme to digitize and preserve a trove of ancient religious manuscripts related to Bön, the pre-Buddhist religion of Tibet. Once digitized, the manuscripts will be made freely available online through the British Library, giving scholars around the world access to an important archive of religious texts that were previously accessible only by traveling to a monastery in a remote part of the Indian Himalayas. The Menri Monastery, located near the village of Dolanji in the Northern Indian state of Himachal Pradesh, possesses the world’s largest collection of manuscripts relating to Bön. Most of these materials were rescued from ancient monasteries in Tibet before they were destroyed during the Chinese Cultural Revolution. The collection includes some 129 pechas, or traditional Tibetan books, comprising more than 62,000 pages of text. A pecha consists of loose leaves of handmade paper wrapped in cloth, placed between wooden boards, and secured with a belt. 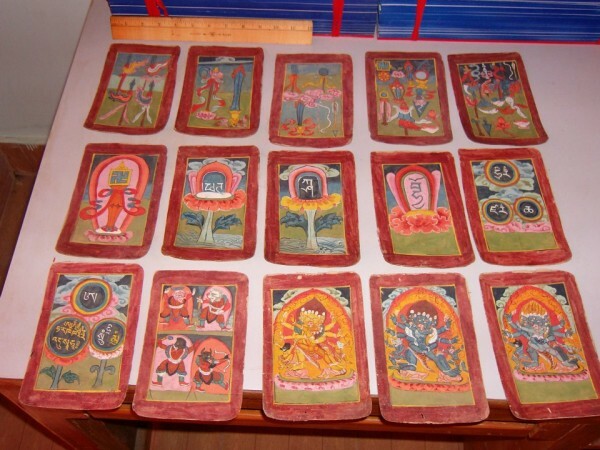 Also included are some 479 handmade colorfully-illustrated initiation cards, or tsakli, which are employed in various rituals and contain significant amounts of text. 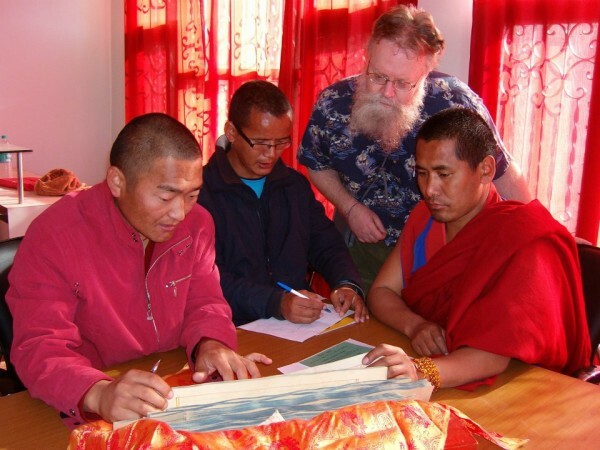 Duke librarian Edward Proctor, second from right, worked with monks at the monastery in 2009 to determine the feasibility of digitizing the Bön manuscripts. As the name suggests, the British Library’s Endangered Archives Programme aims to preserve archival material that is in danger of disappearing, particularly in countries where resources and opportunities to preserve such material are lacking or limited. The Bön manuscripts are an excellent case in point, according to Edward Proctor, the principal investigator for the project. 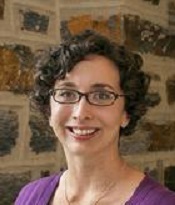 Proctor is Duke’s librarian for South and Southeast Asia. 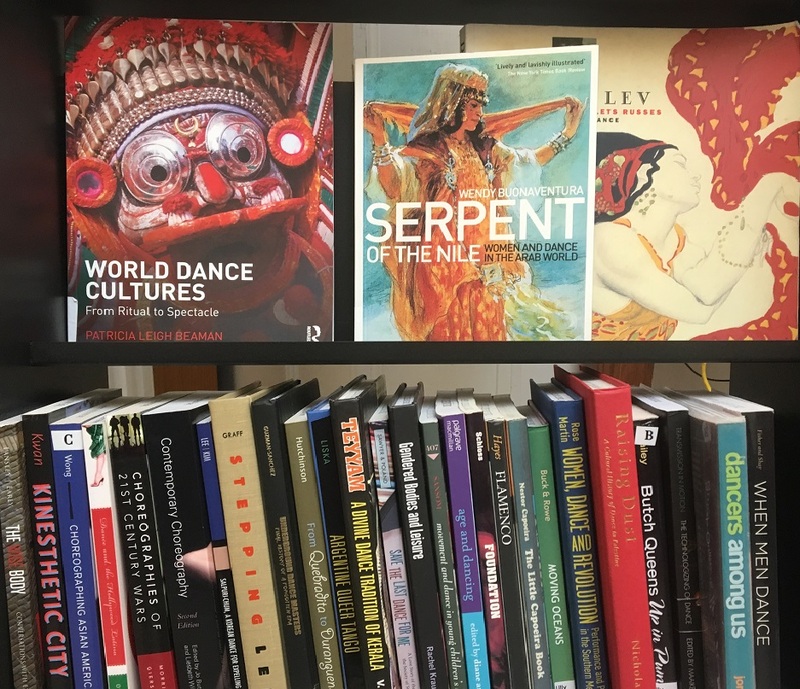 He also works to develop the South Asian Studies collection at the University of North Carolina at Chapel Hill Library through a cooperative arrangement with Duke. The Bön manuscripts cover a wide range of subjects, including history, grammar, poetry, rules of monastic discipline, rituals, astronomy, medicine, musical scores, biographies of prominent Bön teachers, and practical instruction manuals for the creation and consecration of paintings, sculptures, mandalas, ritual offerings, reliquaries, amulets, and talismans. Proctor first traveled to the Menri Monastery in 2009 on a Pilot Project grant from the British Library to investigate the scope and condition of the Bön manuscripts and the feasibility of digitizing them. He will return later this fall and winter to oversee their digitization, which will be carried out by monastery staff. 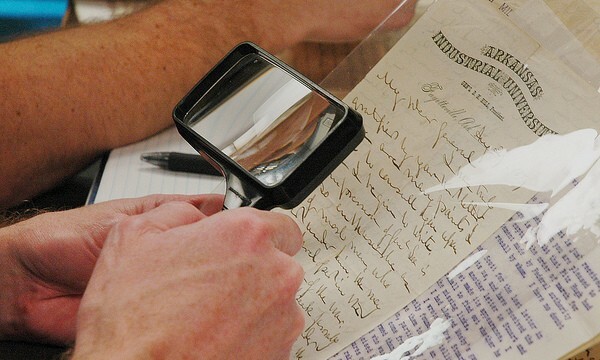 Proctor will provide training in digitization techniques and offer guidance on best practices in archival management. 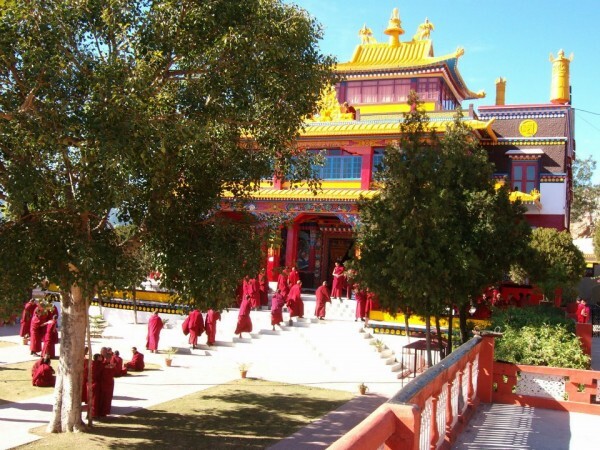 Once the project is complete, the digitization equipment funded by the British Library will remain at the monastery for the future use of the Bön monks. 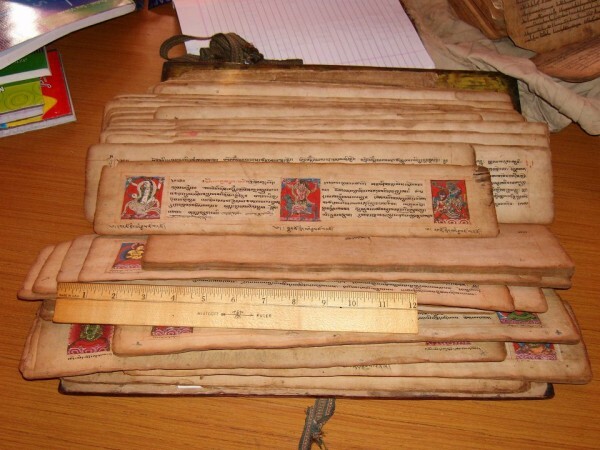 Pechas, or traditional Tibetan books, consist of loose leaves of handmade paper wrapped in cloth, placed between wooden boards, and secured with a belt. According to Proctor, this digitization project is essential to the efforts of Bön monks and nuns to preserve their unique culture, as well as the efforts of scholars elsewhere to understand the early cultural and intellectual history of Central Asia. 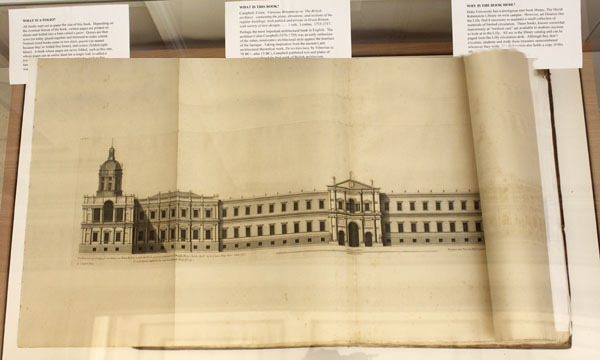 To learn more about the British Library’s Endangered Archives Programme, visit their website. The collection also includes many tsakli, or handmade colorfully-illustrated initiation cards employed in various rituals. Student Writing Prizes: Win $1,000! 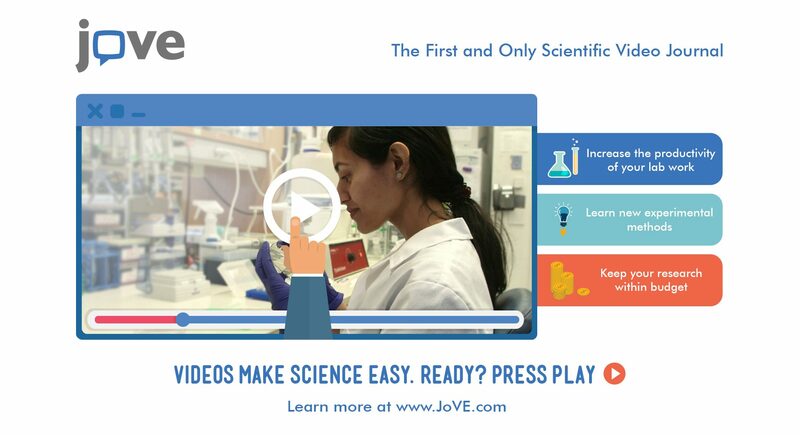 Enter your research paper and you could win $1,000 cash! The Lowell Aptman Prizes and Chester P. Middlesworth Awards were established by Duke University Libraries to reward excellence in research and writing. If you’re a Duke student, consider submitting a paper for one of these prizes—you could win $1,000! 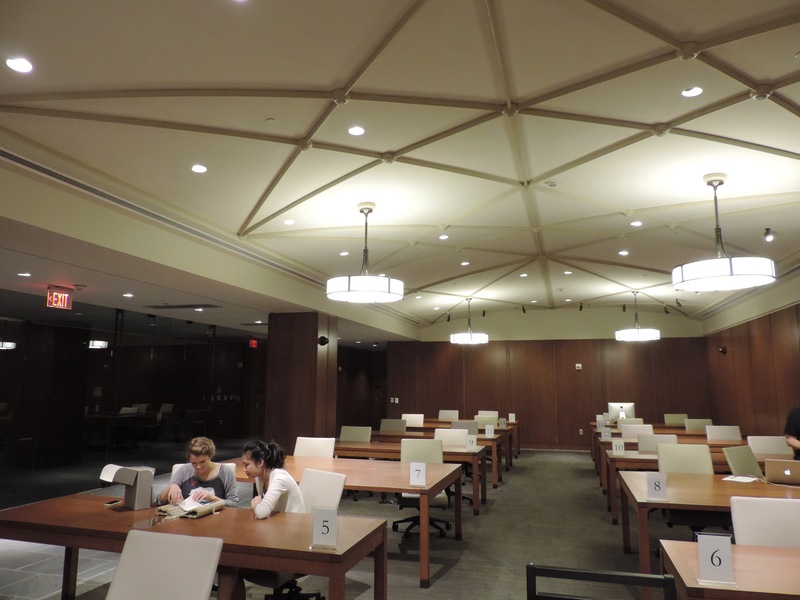 The Aptman Prizes recognize undergraduates’ excellence in research, including their analysis, evaluation and synthesis of sources, and encourages students to make use of the general library collections and services at Duke University. Prizes are awarded in three categories (first- and second-year students, third-and fourth-year students, and fourth-year students working on an honors thesis), and each one comes with a cash award of $1,000. Funding for the awards has been generously provided by Eileen and Lowell (T’89) Aptman. 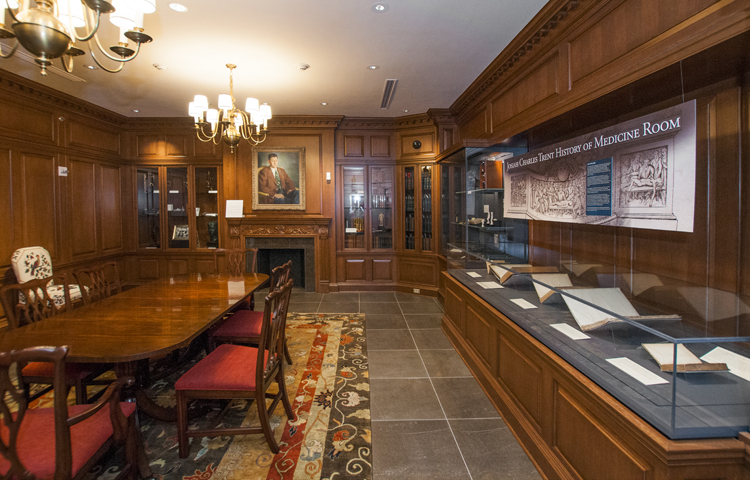 The Middlesworth Awards recognize excellence of research, analysis, and writing by Duke University students in the use of primary sources and rare materials held by the David M. Rubenstein Rare Book & Manuscript Library. Prizes are awarded in two categories (undergraduates and graduate students), and each one comes with a cash prize of $1,000. Funding for the awards has been generously provided by Chester P. Middlesworth (A.B., 1949) of Statesville, North Carolina. 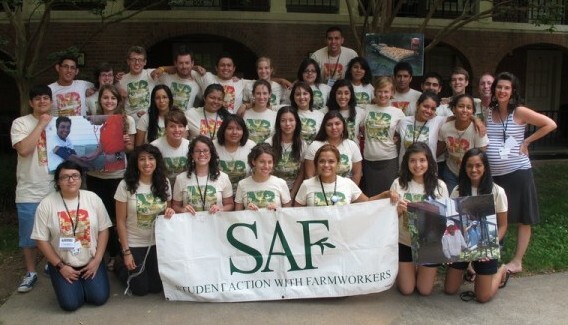 The deadline for both awards is May 15, 2013. All winners will be recognized at a reception held the Friday afternoon of Duke Family Weekend (October 25, 2013), where they will receive certificates and $1,000. 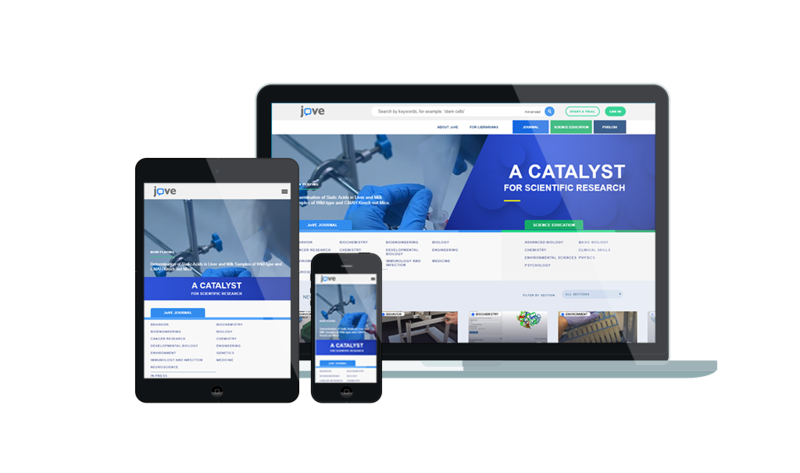 For more information, including complete guidelines, application instructions, and selection criteria, visit our library research awards website. Join us for conversation and light refreshments with celebrated documentary filmmaker Wu Wenguang, one of the founding figures in Chinese independent documentary film. 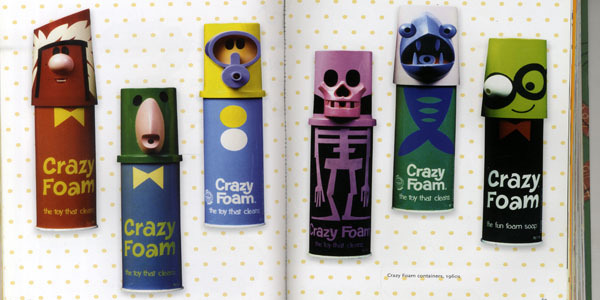 His work includes Bumming in Beijing, At Home in the World and most recently Treatment. 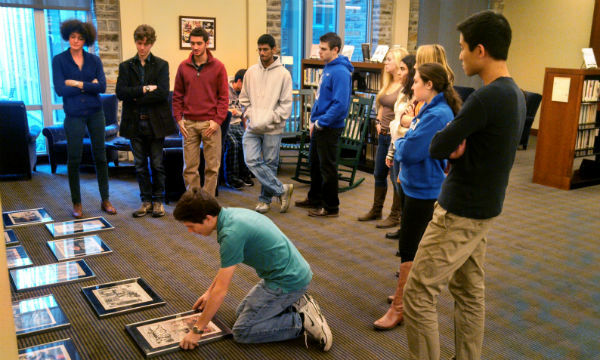 The talk is part of a series of presentations at Duke this week on The Memory Project. Four visiting Chinese filmmakers, including Wu Wenguang, screen their work on memories of the Great Famine (1959-1961). The Memory Project is based at Caochangdi Workstation in Beijing. From the Chinese capital, young filmmakers fanned out to return to family villages and their own pasts, real and imagined, to inquire about the Great Famine—a disaster whose memories have been actively abandoned by the state. 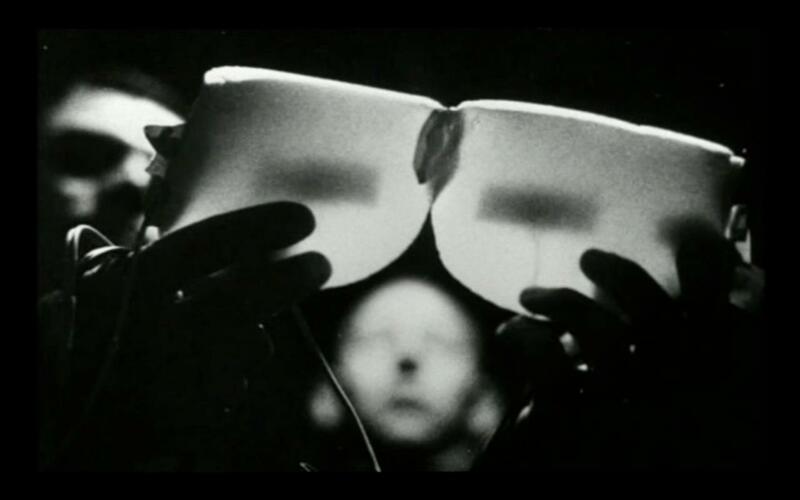 But the films reveal as much about the wish for memory as of memory itself, and of the interesting role of film in such projects of retrieval. 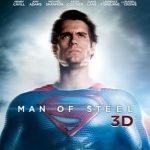 Click here for complete film descriptions and screening information. 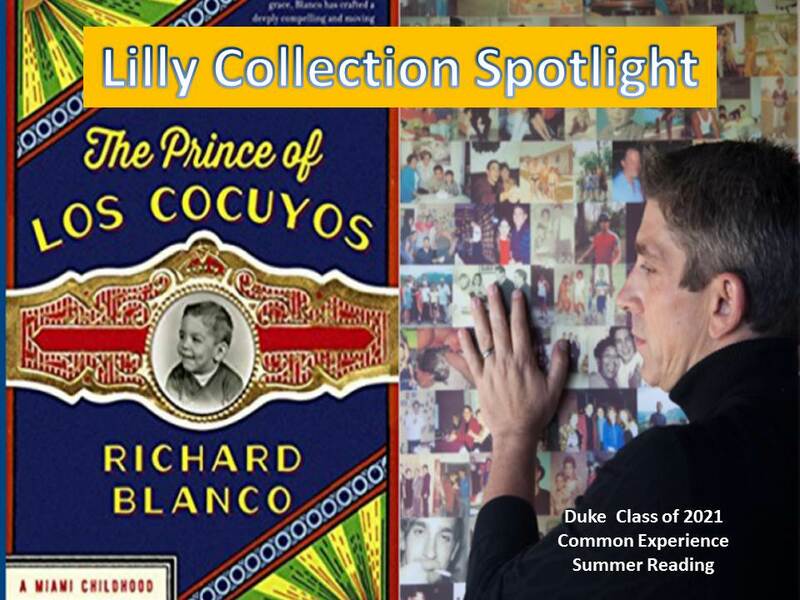 Duke library users and Duke alumni will soon have a trove of new ebooks at their fingertips. 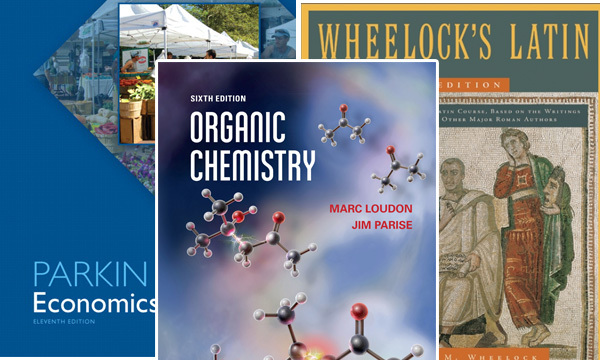 Approximately 1,500 scholarly monographs by Oxford University Press and its affiliates are now available as ebooks in the library catalog, with approximately 9,000 more to come later this year. The development is part of an innovative deal brokered by Oxford University Press and the Triangle Research Libraries Network consortium (TRLN). The ebooks are fully searchable and allow for unlimited user access, so that multiple people can read them at the same time. 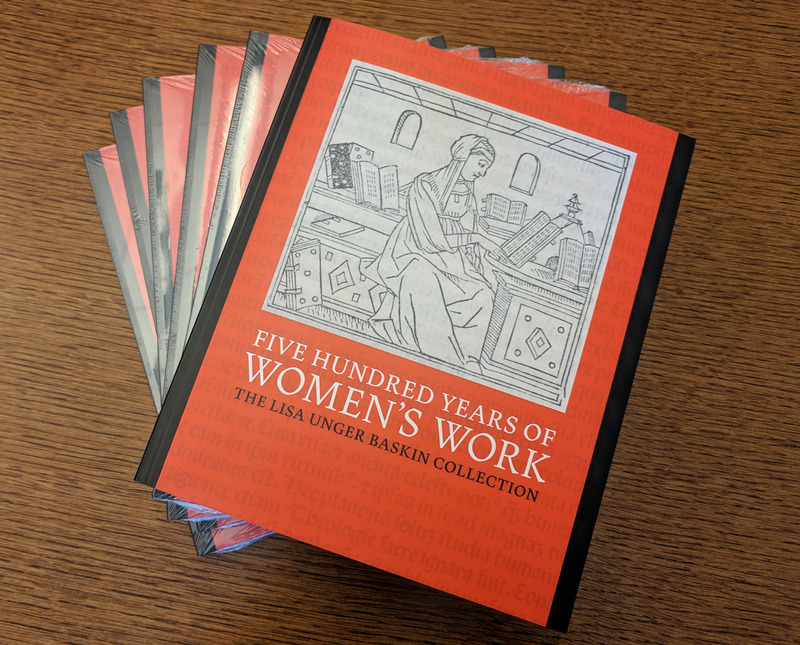 In addition, one shared print copy of each humanities and social science title will be held at Duke’s Library Service Center and be available for use by all TRLN institutions (Duke, UNC-Chapel Hill, NCSU, NCCU). 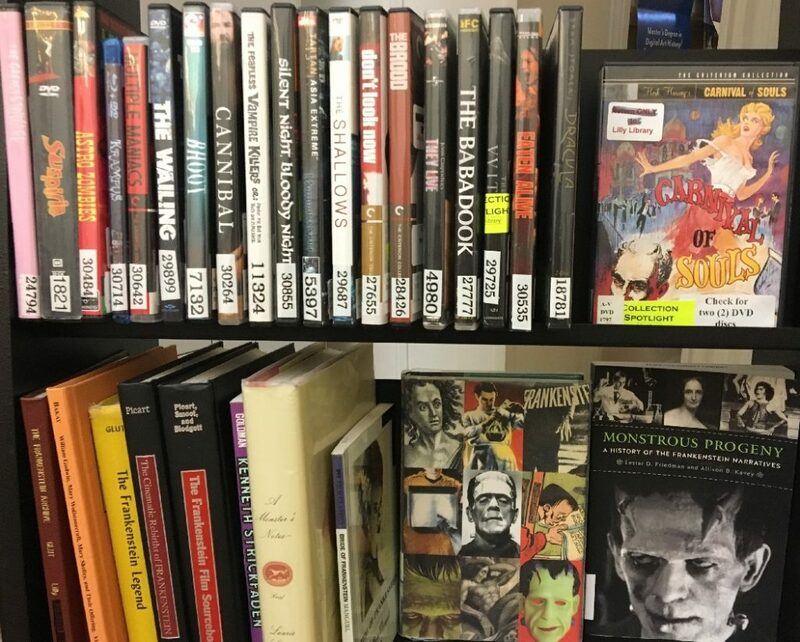 “The Triangle Research Libraries Network has a very long history of successful collaboration in building print collections,” said Sarah Michalak, University Librarian and Associate Provost at the University of North Carolina at Chapel Hill and chair of the TRLN Executive Committee. 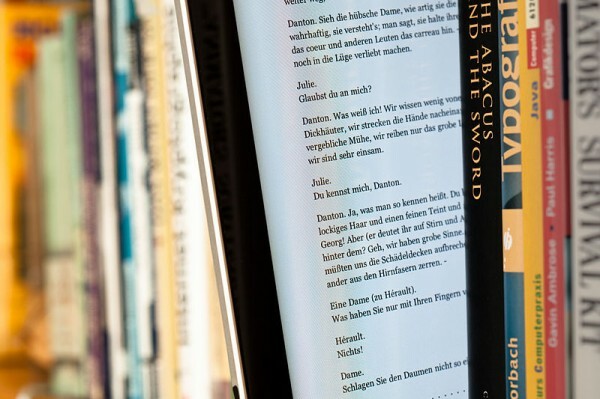 Last year, with support from the Andrew W. Mellon Foundation, TRLN sponsored a “Beyond Print” summit to explore opportunities and challenges associated with ebook acquisitions and shared institutional access. The ebook deal with Oxford University Press is one outcome of those discussions. “The agreement with OUP offers a welcome opportunity to experiment with approaches discussed at the summit, provide high-quality content to our users, and learn more about how students and researchers want to access scholarly output in a dual electronic-plus-print environment,” said Michalak. 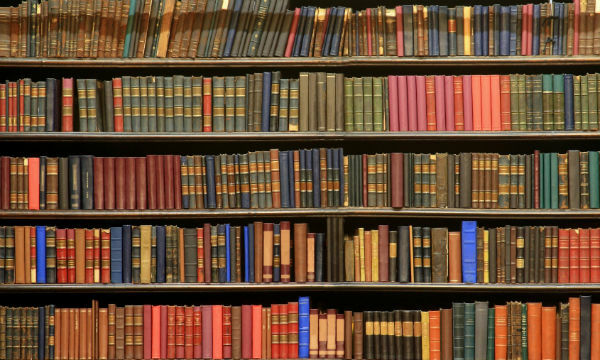 Ebook and ejournal usage continues to rise in academic libraries across the country. In 2011, the Duke Libraries adopted an ebook advocacy model in order to guide collection decisions and advocate to publishers on behalf of researchers’ needs. 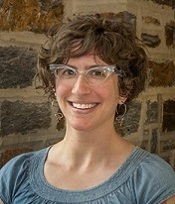 Note to editors: A high-resolution photo of images from the Heschel collection is available here: http://today.duke.edu/showcase/mmedia/hires/heschel.jpg. 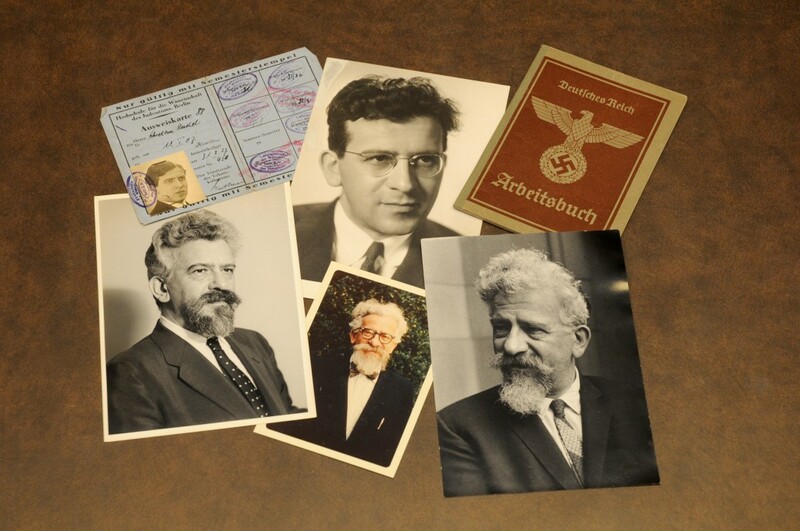 DURHAM, N.C. — Duke University has acquired the papers of Rabbi Abraham Joshua Heschel, a scholar, writer and theologian who is widely recognized as one of the most influential religious leaders of the 20th century, the school announced Monday. Rabbi Heschel marching with Martin Luther King, Jr., and other civil rights activists in Selma. All images are from the Abraham Joshua Heschel Papers, David M. Rubenstein Rare Book & Manuscript Library, Duke University. 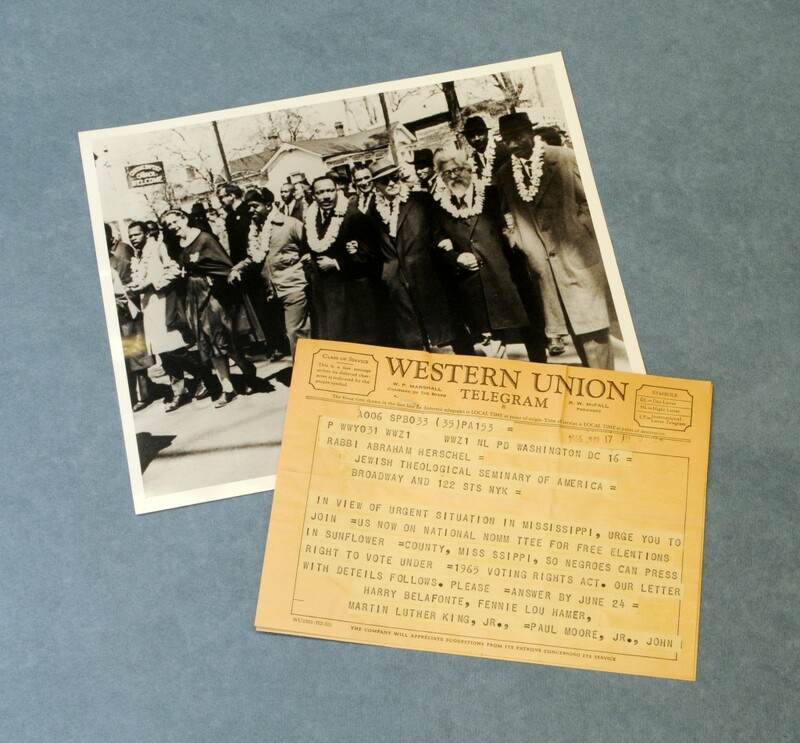 Photographs and other items from the Heschel archive, including a 1935 Nazi-issued work permit. The archive will open for research after conservation review and archival processing are complete. The opening will be announced on the websites of the David M. Rubenstein Rare Book & Manuscript Library and the Center for Jewish Studies at Duke, which partnered to acquire the papers. 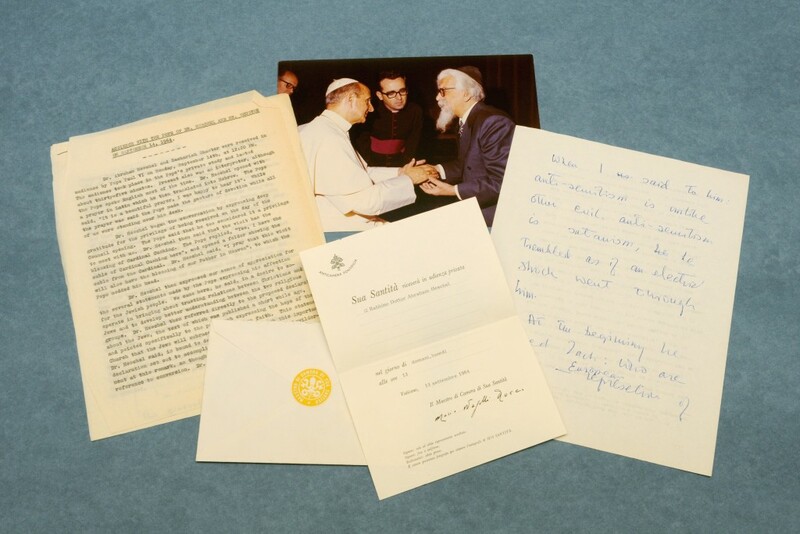 Notes and related materials from Heschel’s audience with Pope Paul VI during the Second Vatican Council (Vatican II). Heschel’s theological works include The Sabbath (1951), Man is Not Alone (1951) and God in Search of Man (1955). His writings continue to influence contemporary discussions of religion and social justice. “What form does the data take?” is a question that developers ask early in the life-cycle of any information technology project. To me, an innovation means opening the way to a new service or a new capacity. A one-off project wouldn’t have done that. When we took up the project in earnest in mid-February, the data was in the form of an extensive and detailed Microsoft Word document that Mary had written. One of the first questions we needed to resolve was how to represent the information in the Word document as data. We needed a way for Mary to read and edit the data on an ongoing basis. At the same time, the data must be available in a structured format that computers can manipulate. This tension between the reading methods of intuitive, interpretive human beings and fussy, unforgiving computers is the central challenge of representing data. As it happens, archivists already represent timelines in a way that computers can process. Encoded Archival Description (EAD) is an XML standard for archival finding aids. Among its many features, it specifies a way for archivists to build timelines related to the creators of a collection’s material. As a practiced author of finding aids, Mary is familiar with the use of EAD. 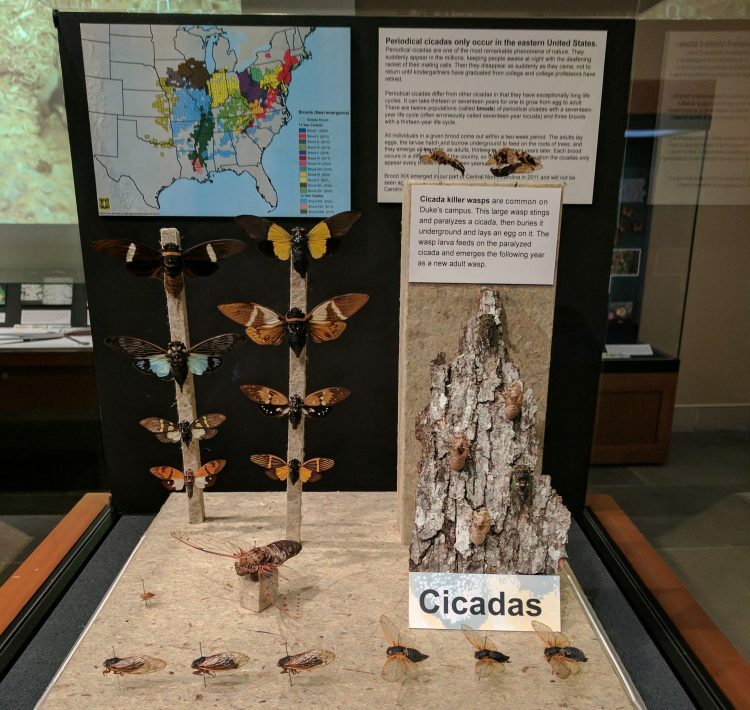 Since the development team for the project is the same group that recently built our finding aids site, EAD seemed like a natural fit for the project. That site uses EAC records from a variety of institutions to accomplish several ends. 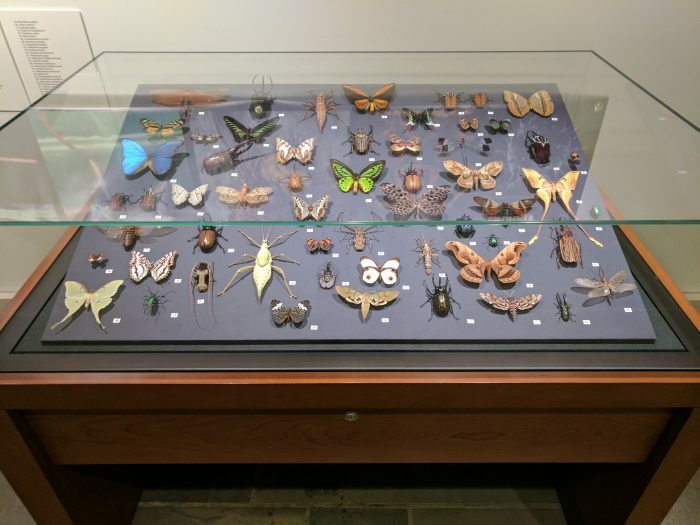 First, it shows the array of collections from the participating institutions associated with an individual – say, Walt Whitman. 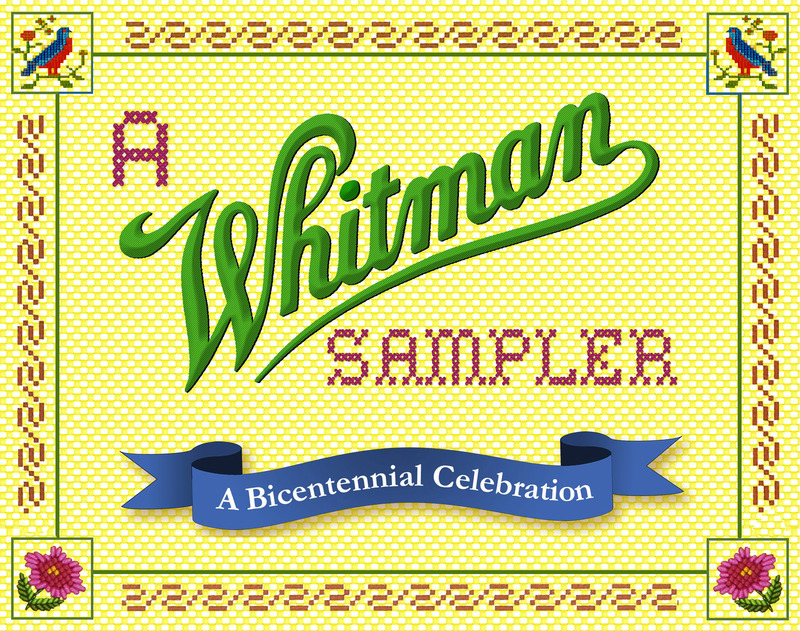 Second, it builds a social network among individuals, linking a creator like Whitman to other parties with whom he corresponded, was related, or otherwise associated. 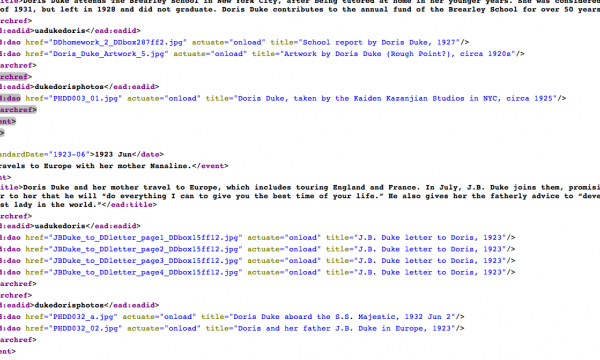 As the development team discussed Mary’s project, we liked the idea of using EAC-CPF markup to represent information about Doris Duke. 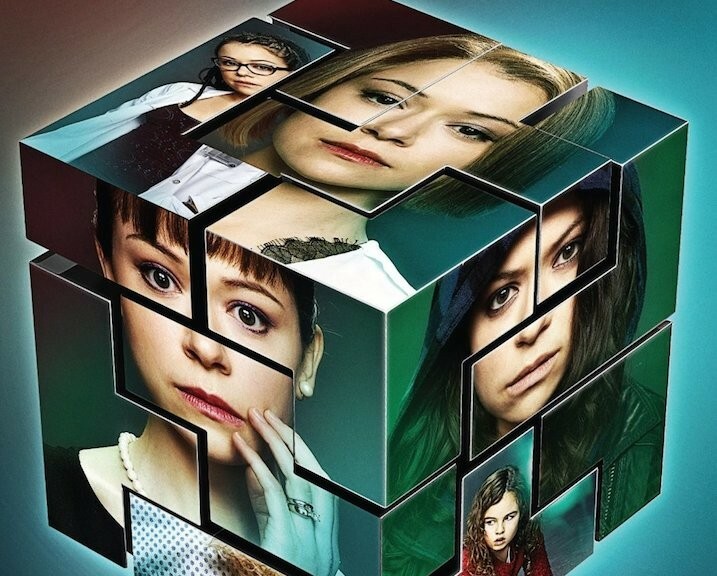 For one thing, we admire the SNAC web site, and have discussed in the past using it as a model for a series of “person portals” into our collections. We wanted to familiarize ourselves with EAC, and the Doris Duke project seemed like an appropriate entry point. There was only one problem. EAC defines a “chronlist” tag for representing timelines, but its specification was not robust enough. It does not support two of our important needs: 1) linking media files (i.e., images) to events; and 2) linking individual events to the finding aids for collections that provide source materials about the events. Faced with this limitation, we decided to take liberties. If my explanation is overly technical, here are some fitting analogies for what we did: we invented a new fusion cuisine dish; we installed a whammy bar on a Les Paul; we used cobra genes to engineer a killer rabbit. The resulting EAC file for the Doris Duke project is available here. The tags in that document beginning with the prefix “ead:” are the elements we borrowed from the EAD namespace. The solution that we devised represented a kind of contract between the content creator, Mary, and the development team. It allowed the two parties to work in parallel, Mary encoding and revising the timeline, and the developers building its display. Duke is participating in the National Archive Authorities Infrastructure project, which will ultimately integrate our collections into that “Facebook for dead people” social network. We’re also developing our expertise by working on more “people portals”; University Archives will be assigning additional Duke family EAC documents as a low-priority, background project to its interns. It probably took double the effort for the development team to produce a new service rather than a one-off project, but it helped us take our first steps toward this promising approach to describing and exposing the contents of our archival collections.